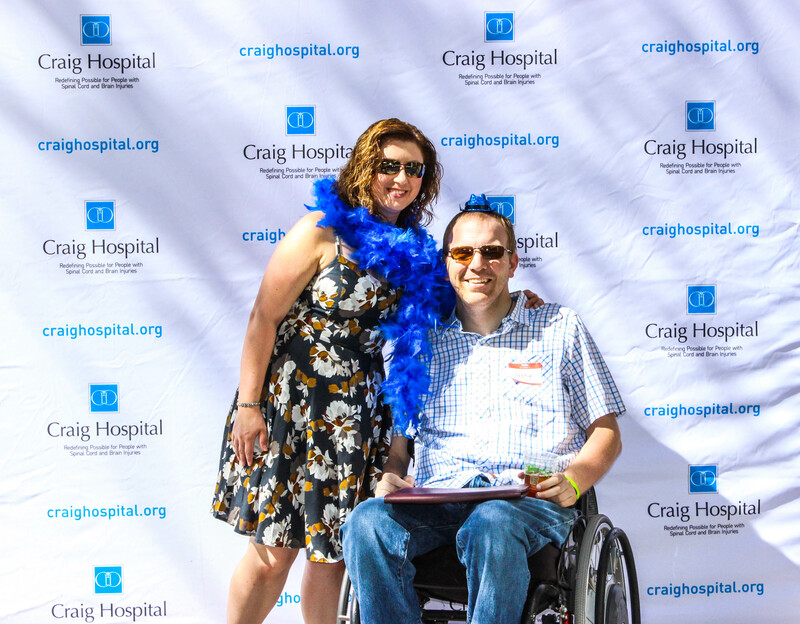 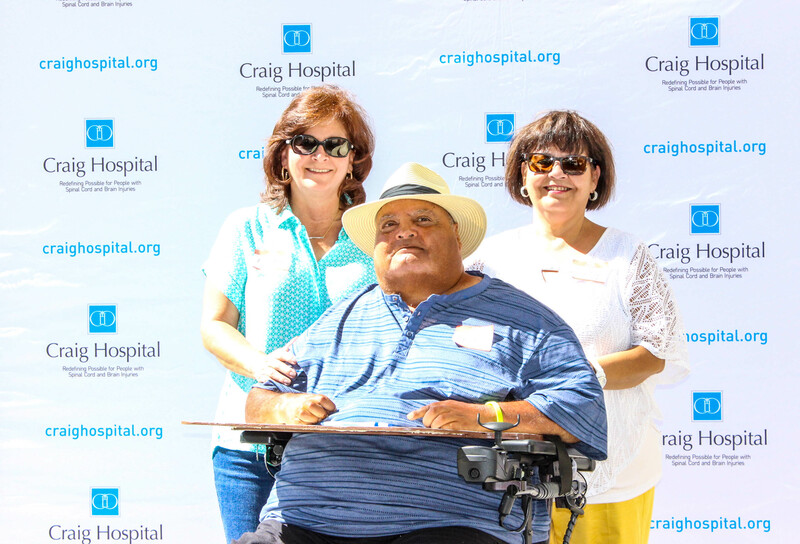 At the event, Craig Grad Jason Regier received the Bill McKown Community Engagement Award, which recognizes a Craig Hospital graduate who has been especially engaged in their community through public service and volunteerism. 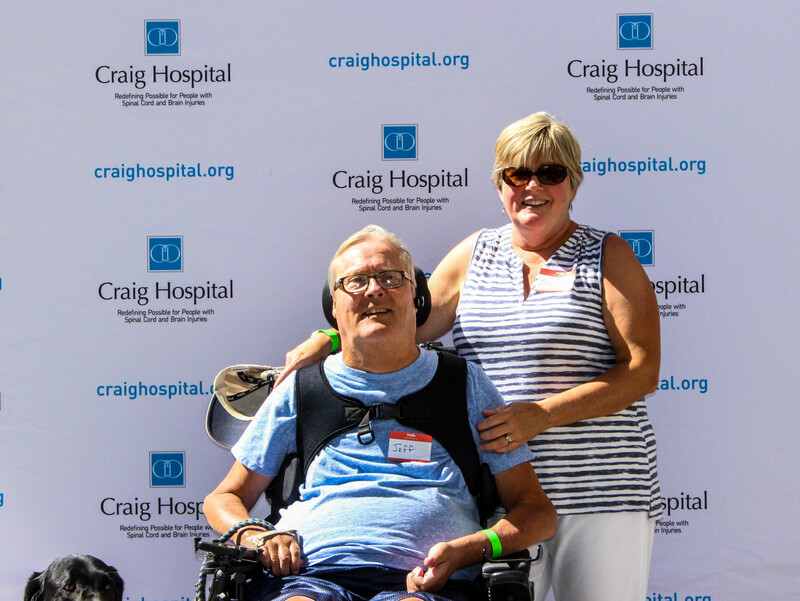 The award is named after Craig grad Bill McKown, who died in 2014. 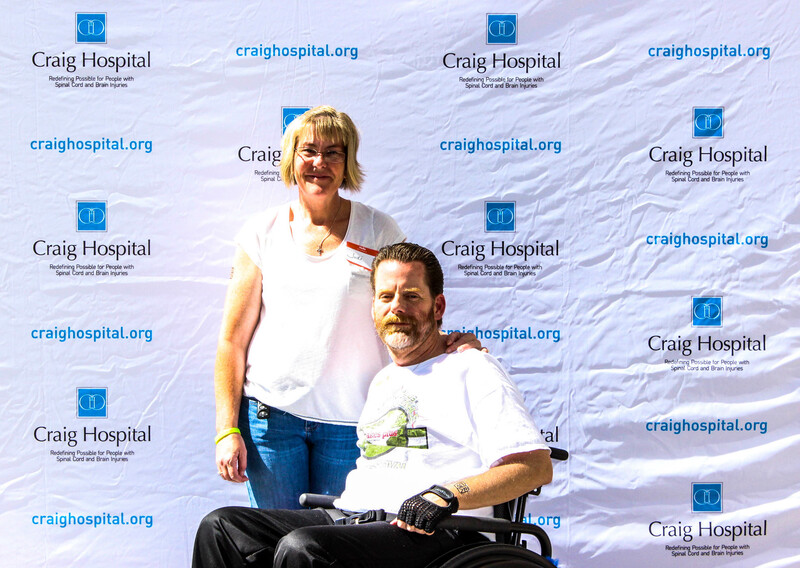 McKown never let his accident slow him down. 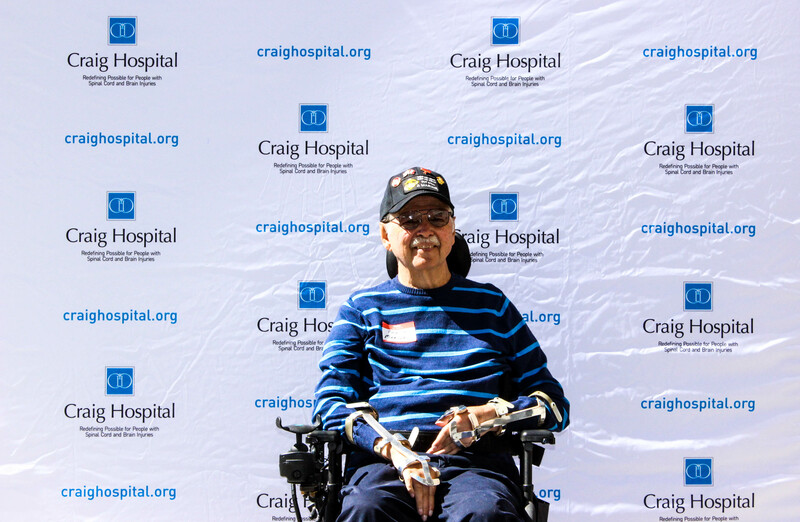 He lived an active live, was a member of Jimmy Carter’s President’s Commission for the Handicapped, and served many community organizations. 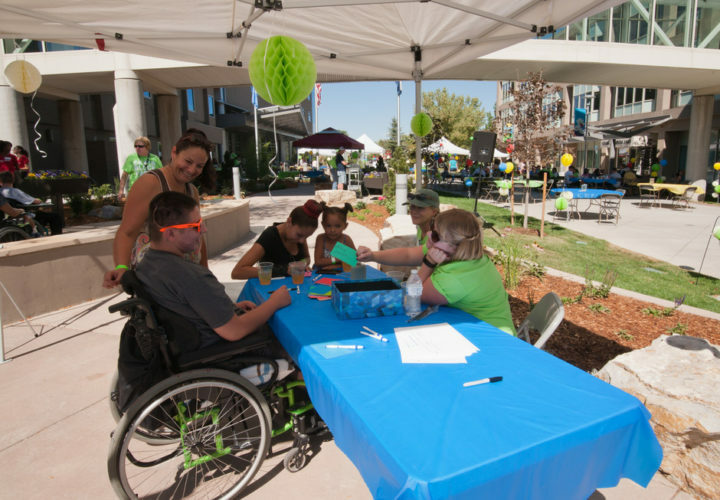 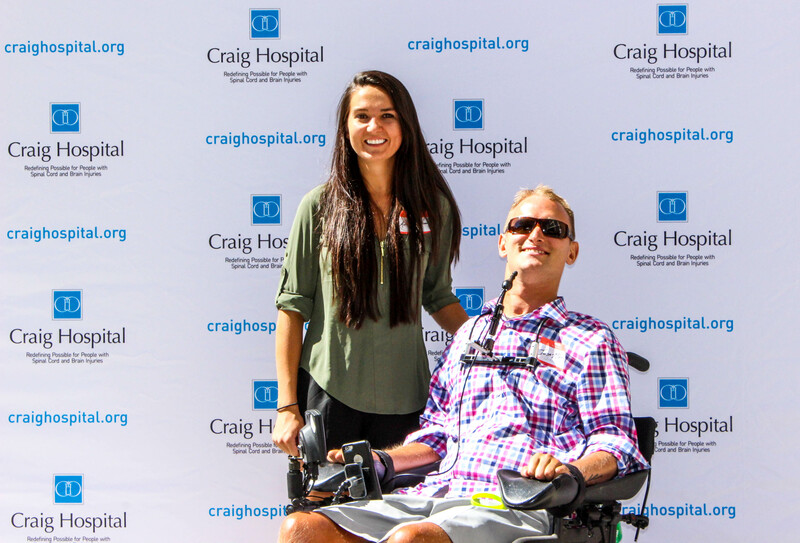 McKown was an example and inspiration to all around him and was an example of how individuals with spinal cord or traumatic brain injuries can live full and meaningful lives. 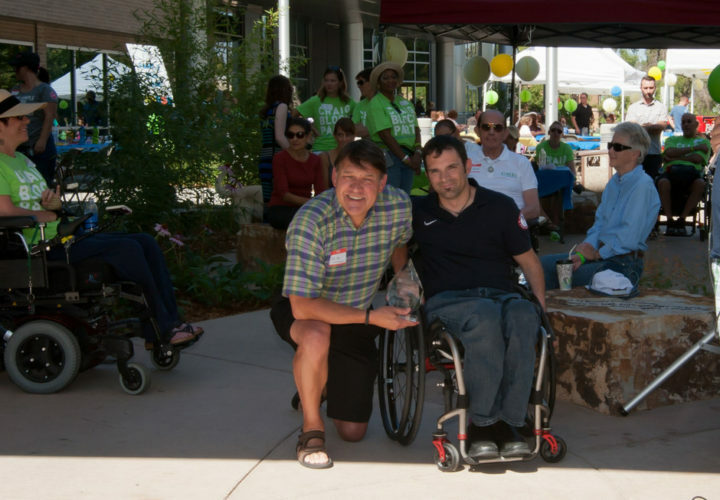 Nominations for the award were received, and each candidate was rated on a five point scale in the areas of Volunteerism, Community Engagement & Peer to Peer Interactions and Commitment to the Disability Community. 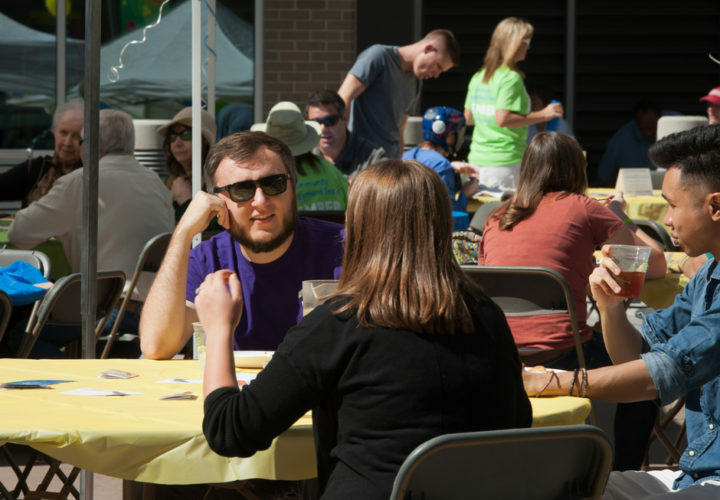 The selection committee was made up of Community Engagement Team members, which includes alumni, alumni family members, community members and staff. 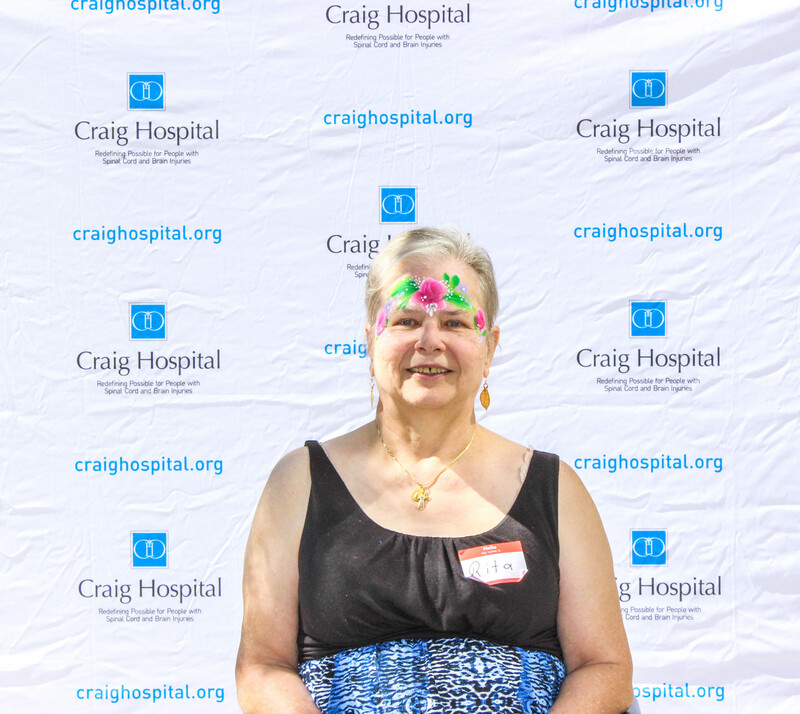 Regier was nominated by Ellen Severe, Craig’s director of Occupational Therapy. 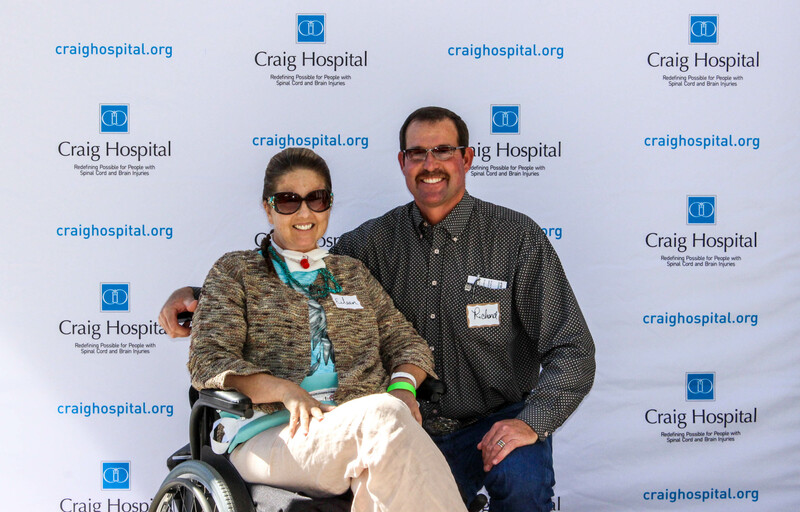 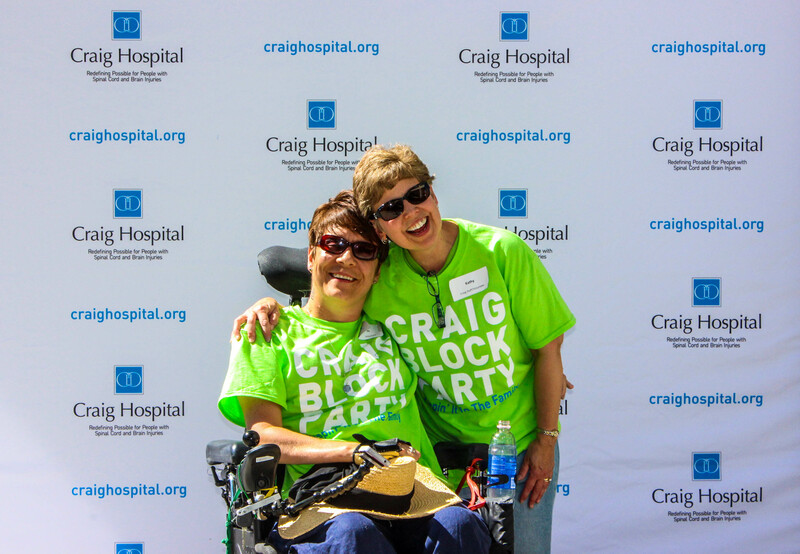 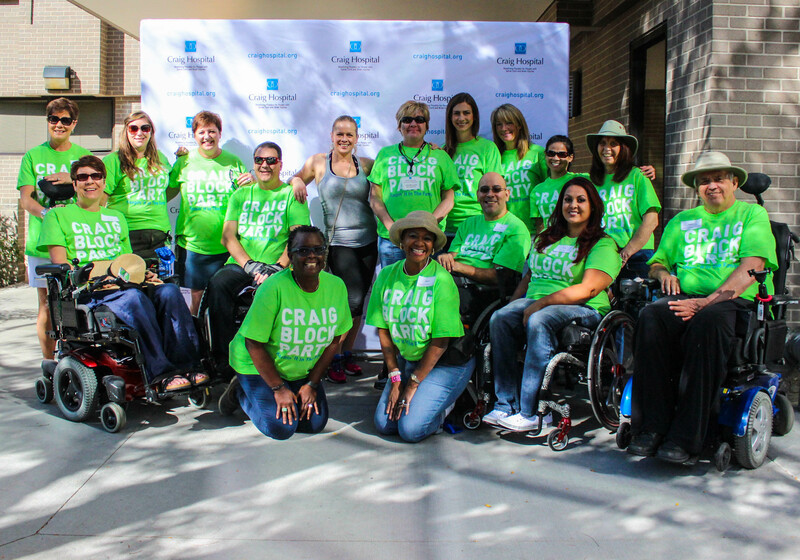 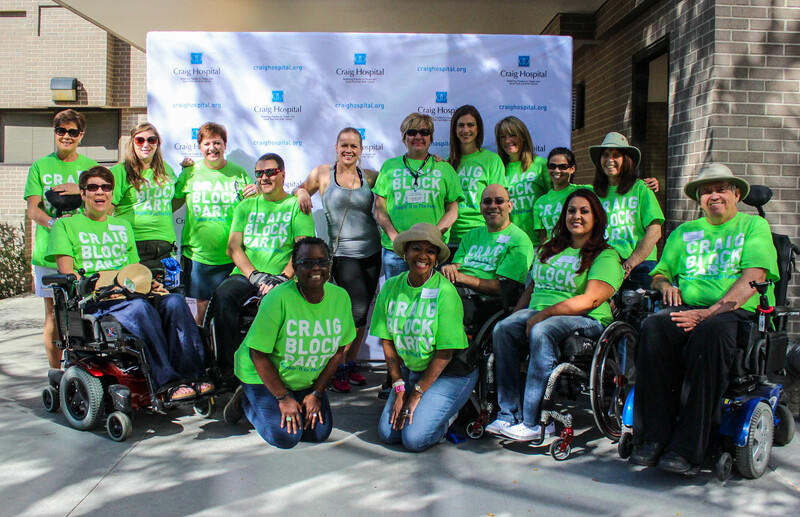 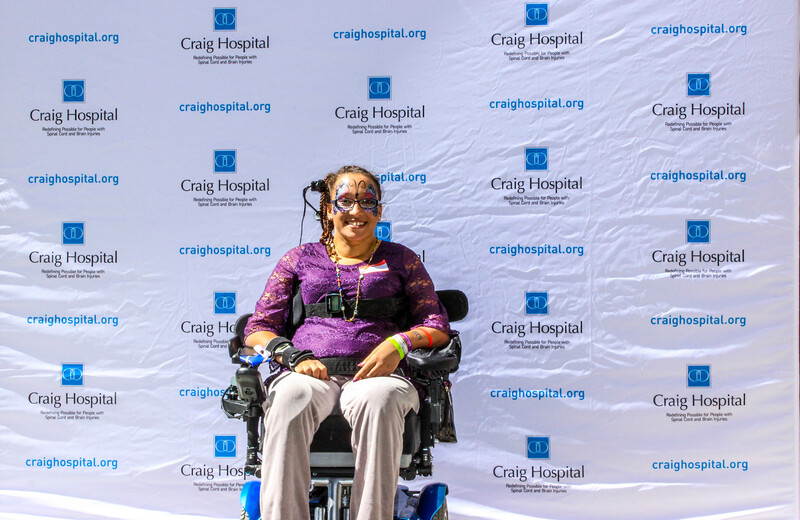 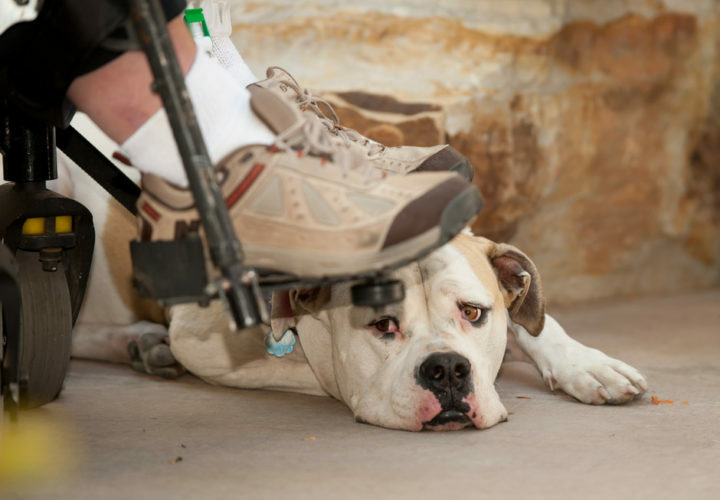 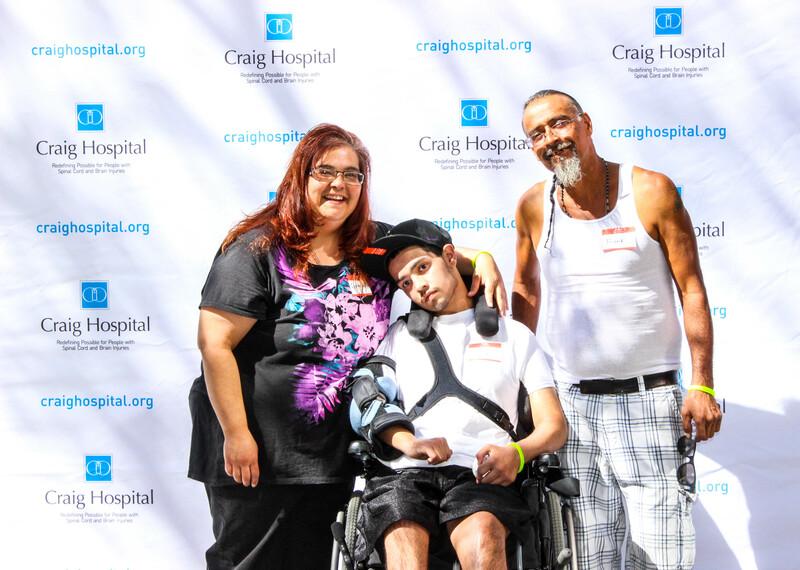 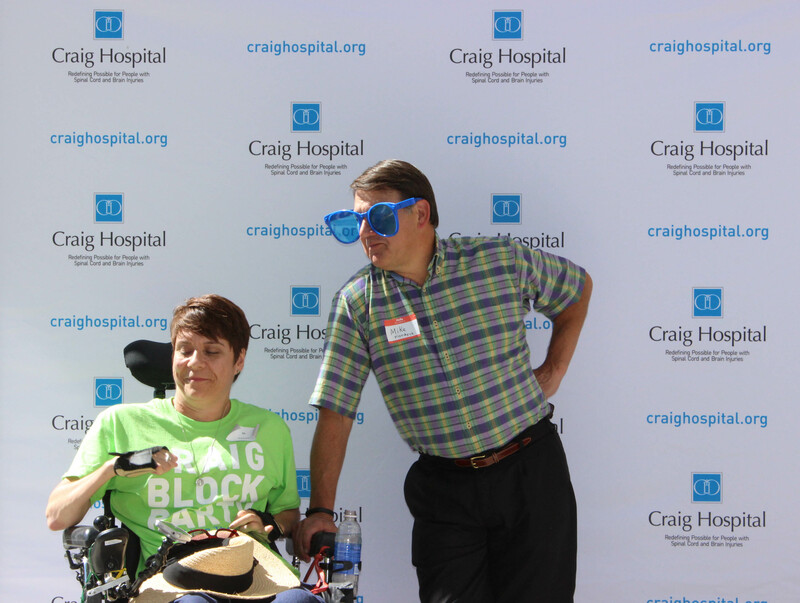 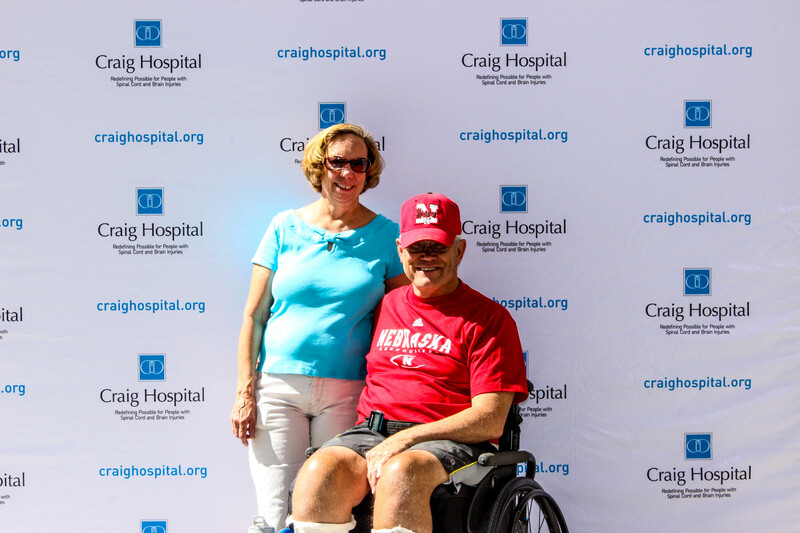 Regier sustained a spinal cord injury in a car accident in 1996 and rehabilitated at Craig. 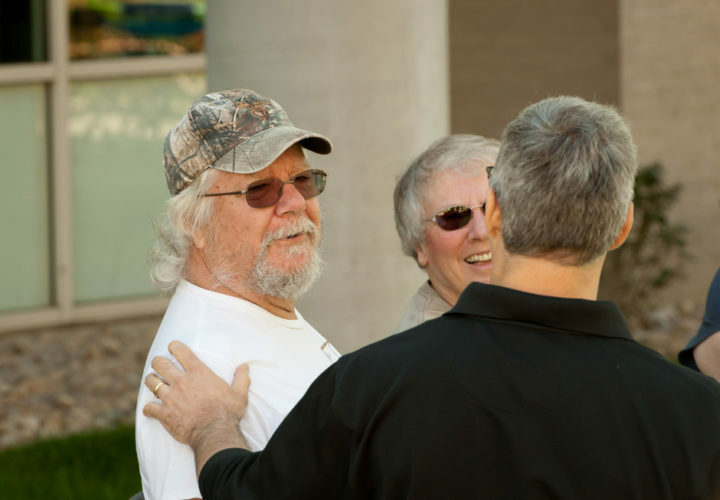 He went on to earn dual Master’s degrees in Business Administration and Marketing. 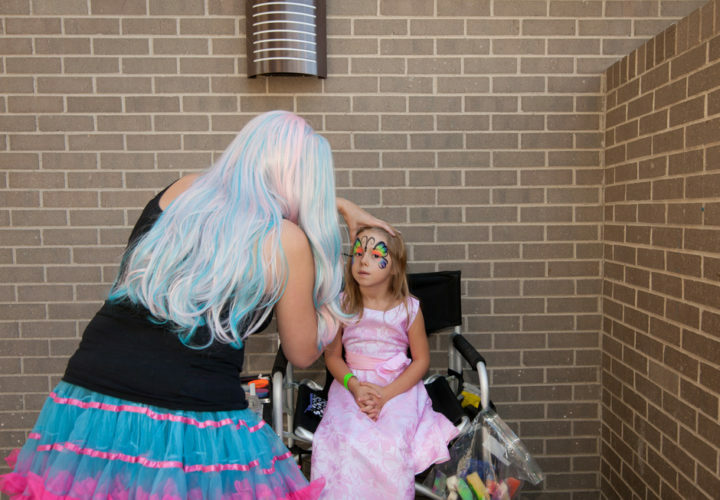 As the Principal for SpellBynder, Regier oversees marketing and training development for government healthcare programs, nonprofits and state agencies. 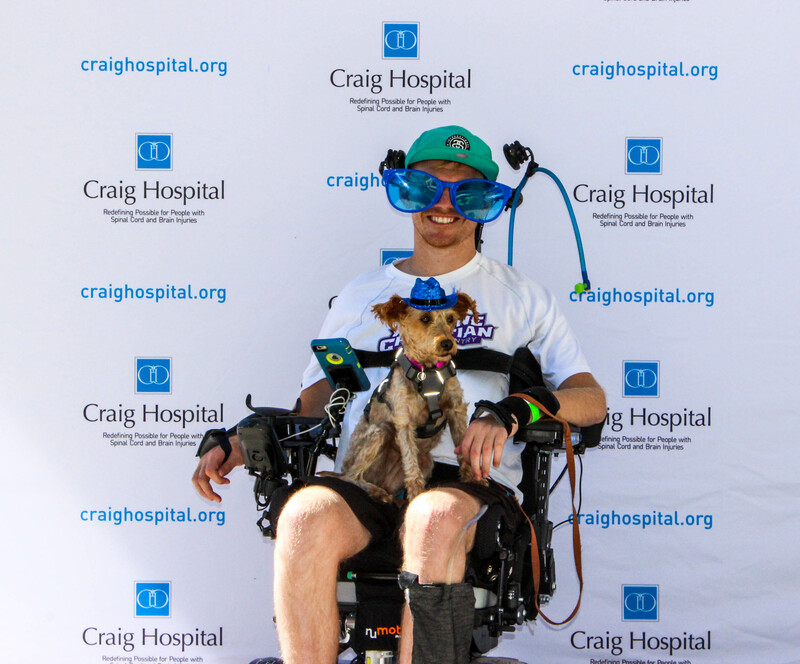 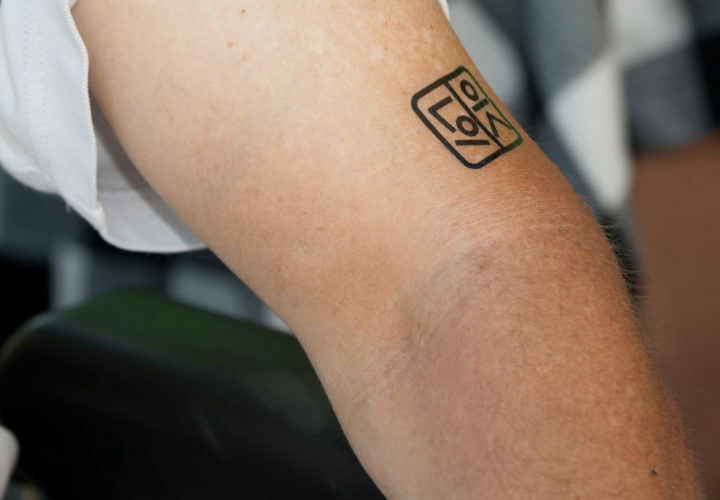 He also has trained as an elite athlete and has represented Team USA in Wheelchair Rugby since 2005 at two World Championships and two Paralympic games. 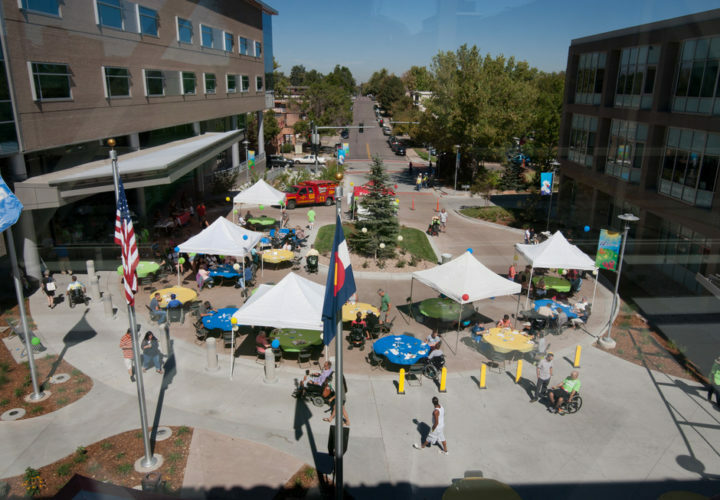 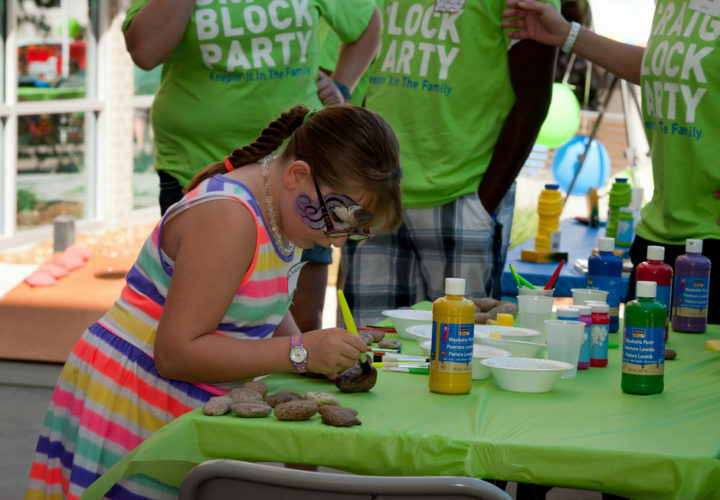 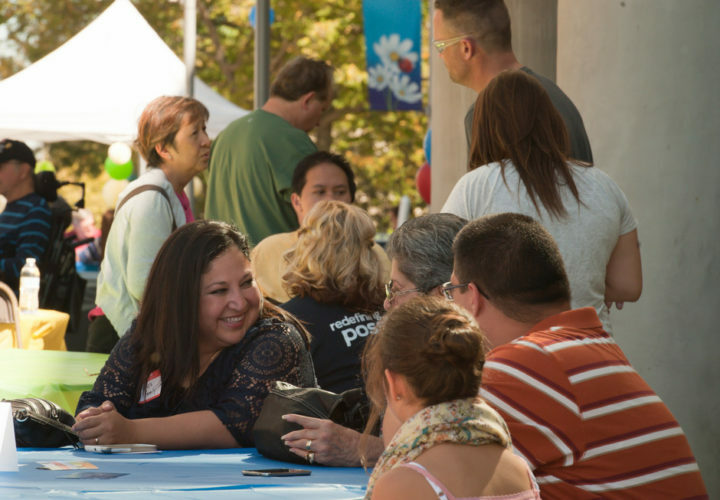 Regier has worked with the nonprofit sector for over 10 years developing organizations on a local level and nationally. 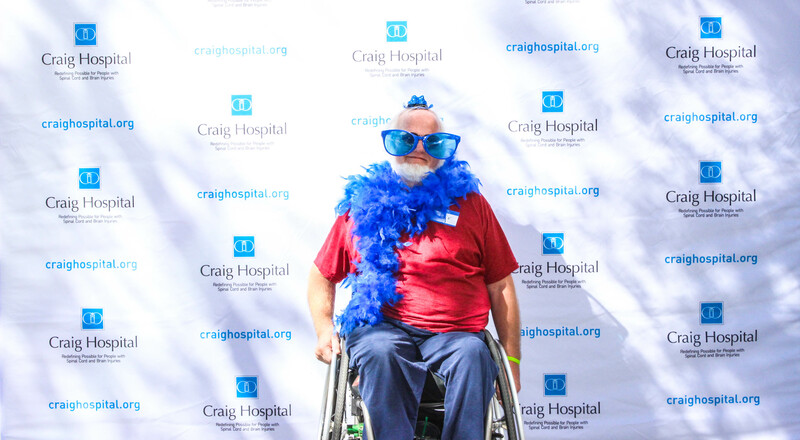 He is the President of Denver Harlequin Wheelchair Rugby and has served on the Craig Hospital Board of Directors since 2010. 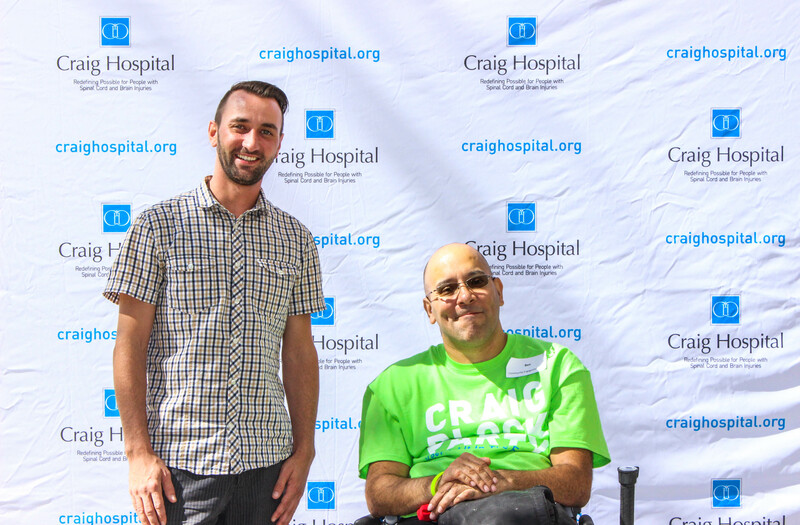 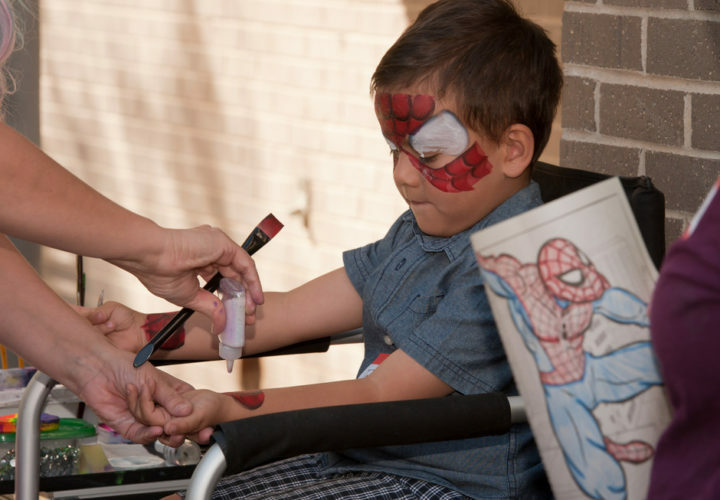 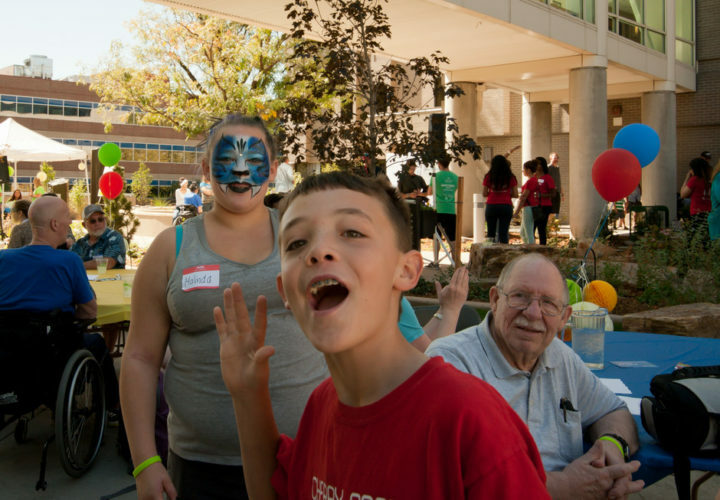 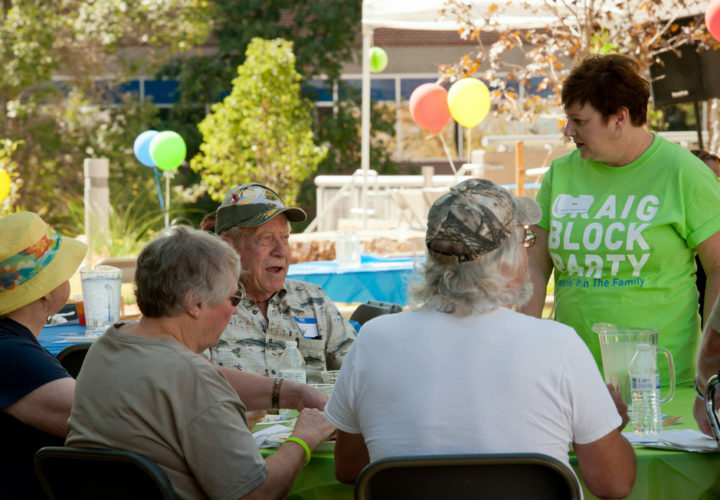 He’s a peer mentor to Craig patients, and has worked with a variety of other nonprofits. 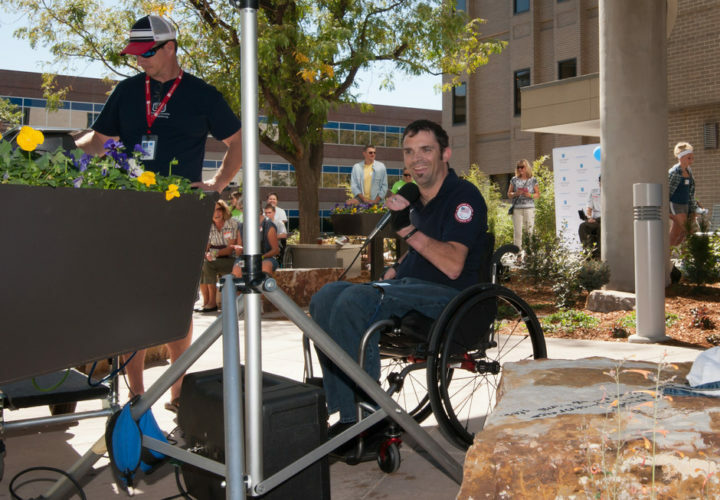 As a national speaker, Jason has delivered keynotes and programs across the country on principles, values and personal development. 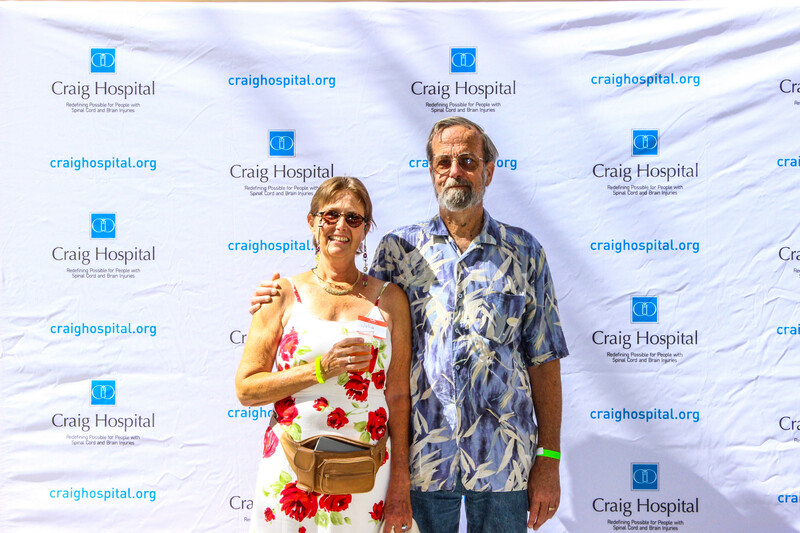 To download, "right click" on your photo and select "save as." 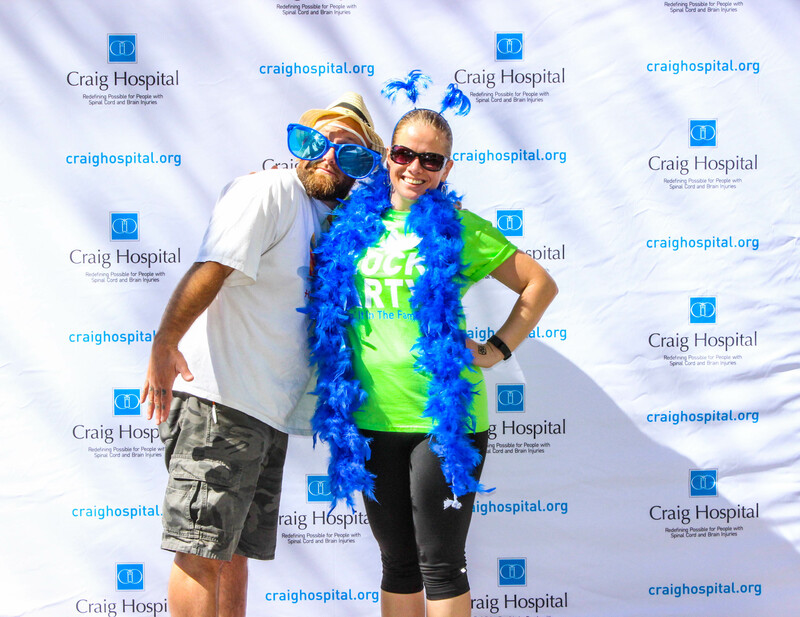 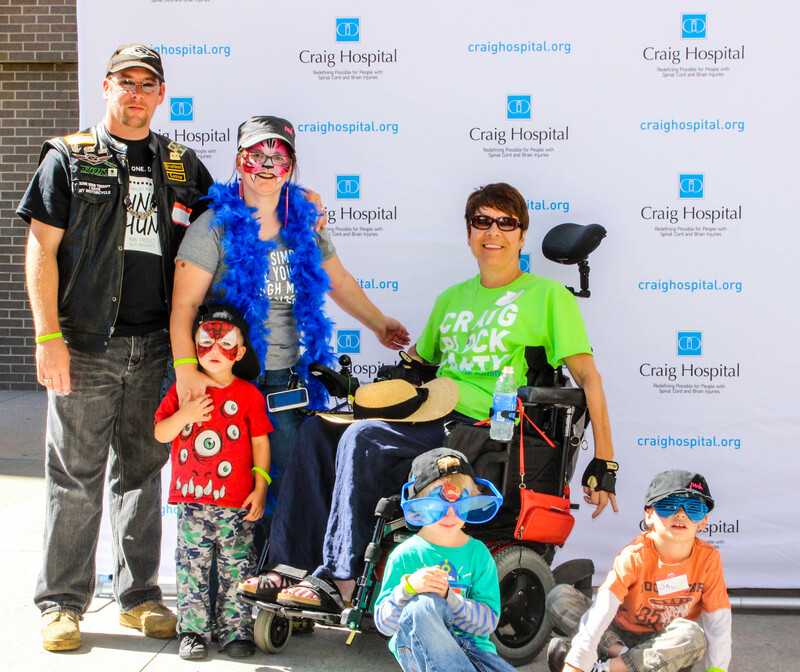 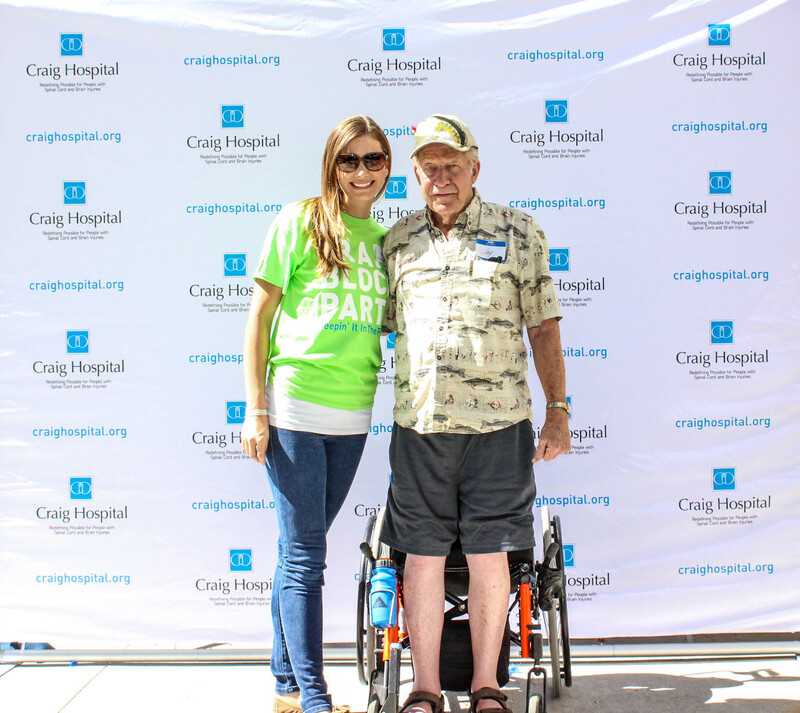 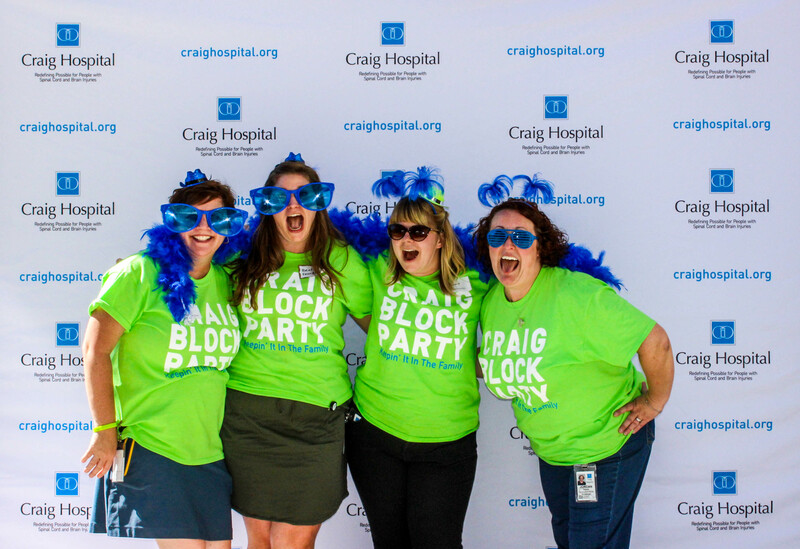 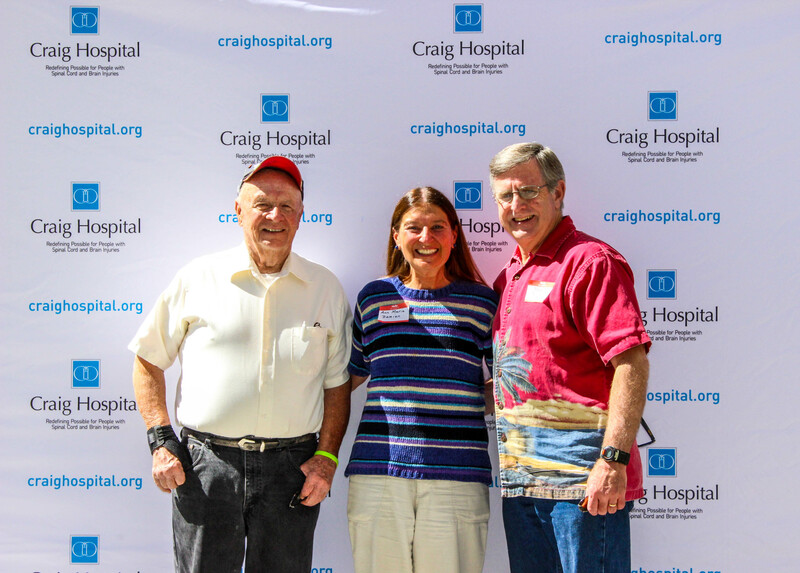 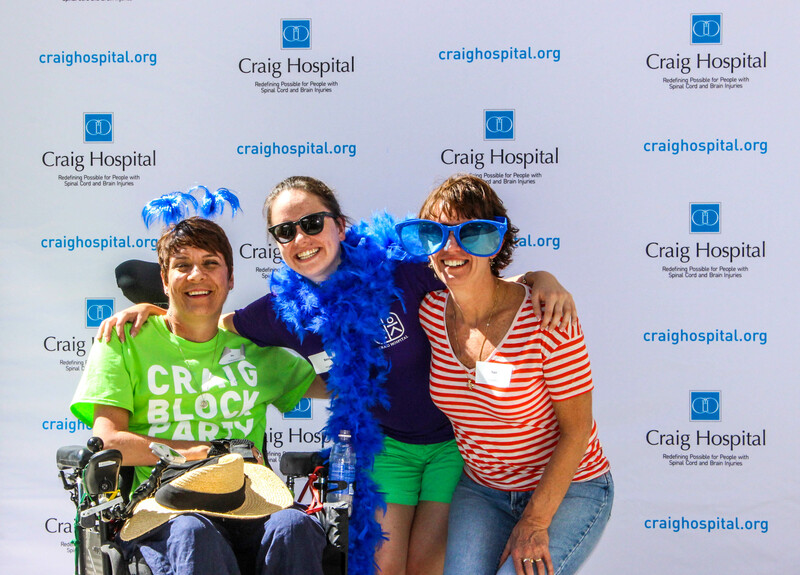 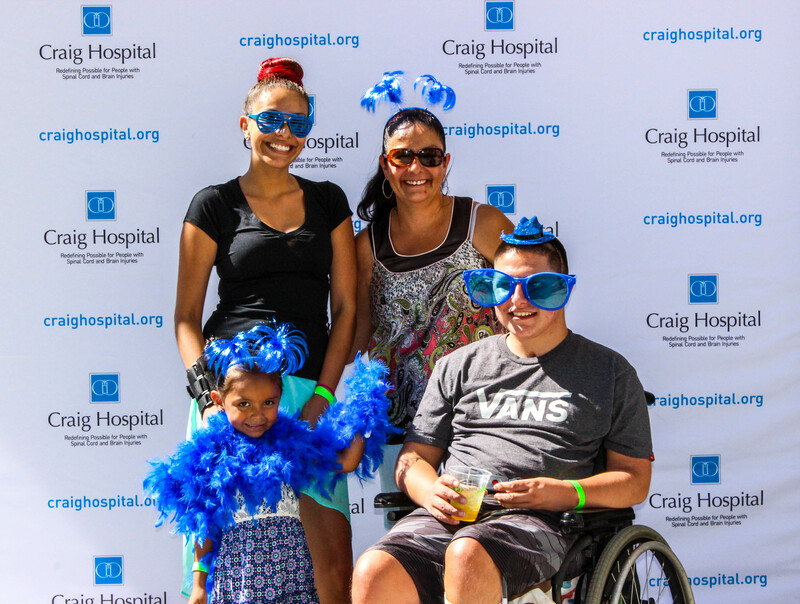 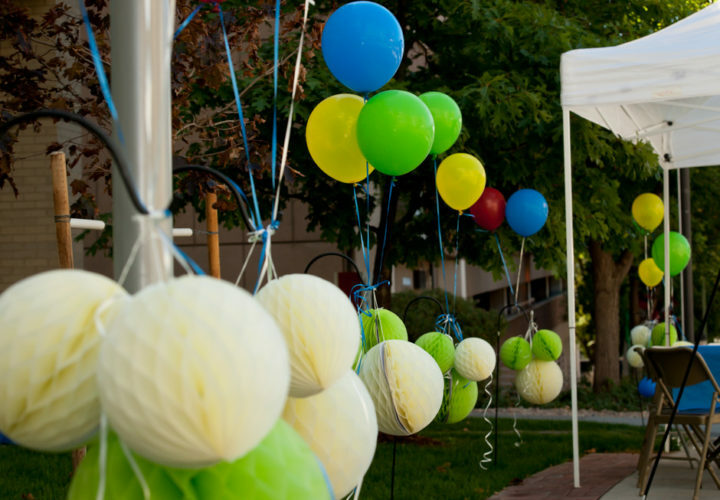 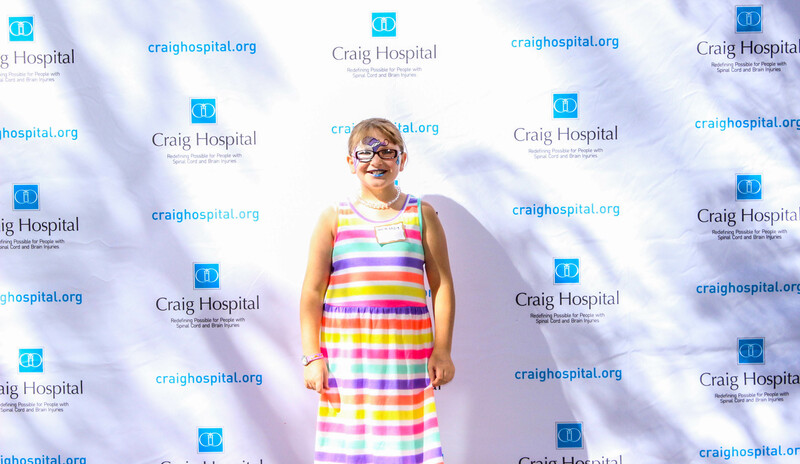 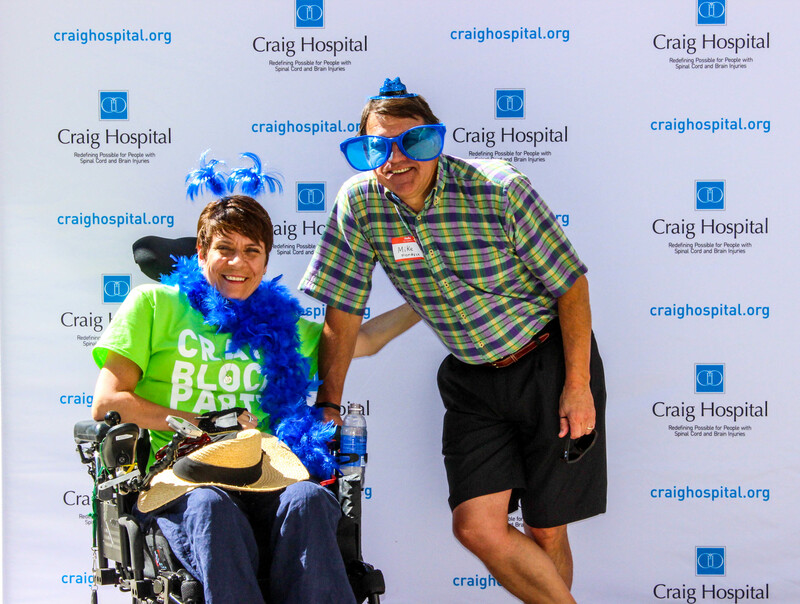 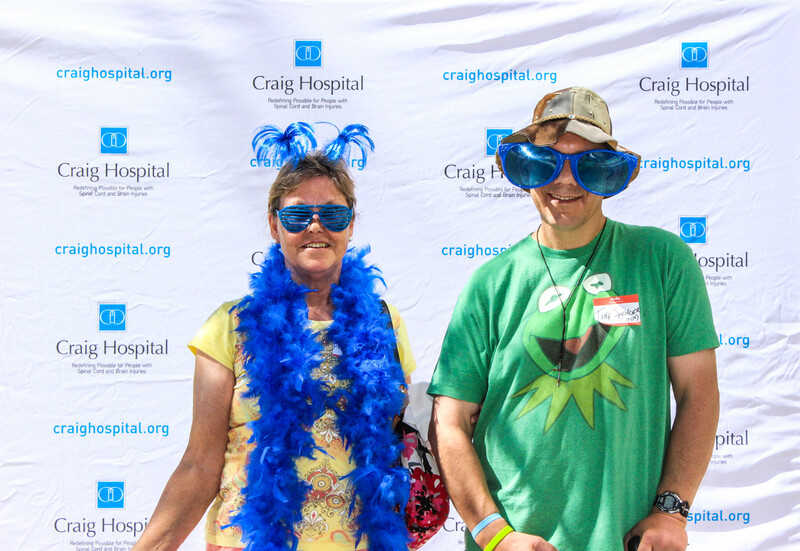 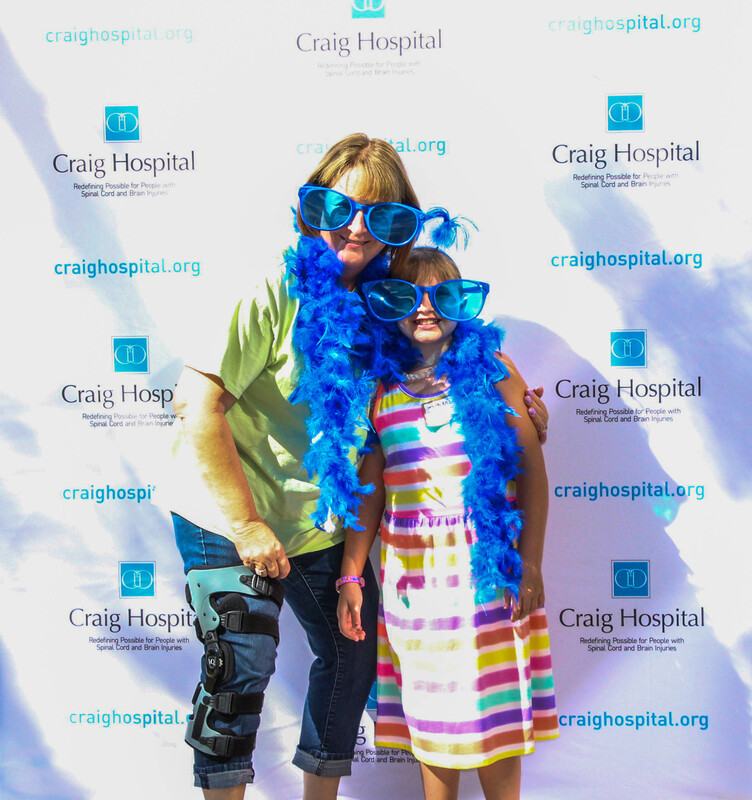 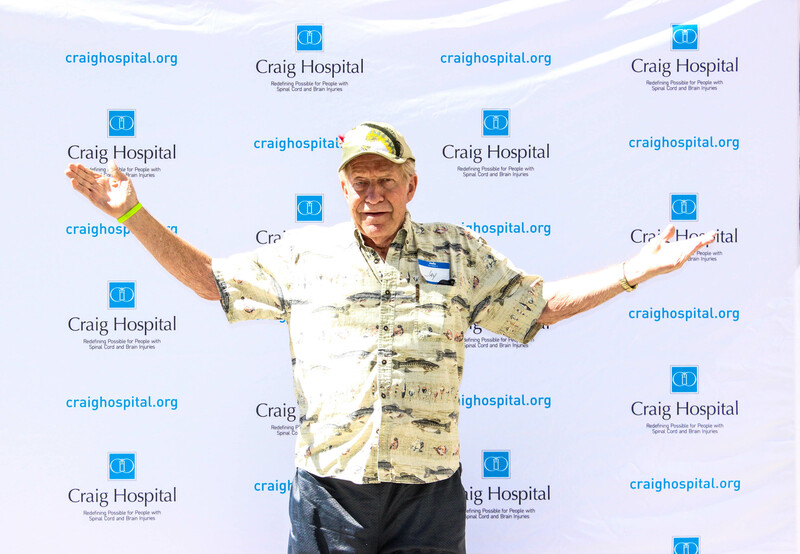 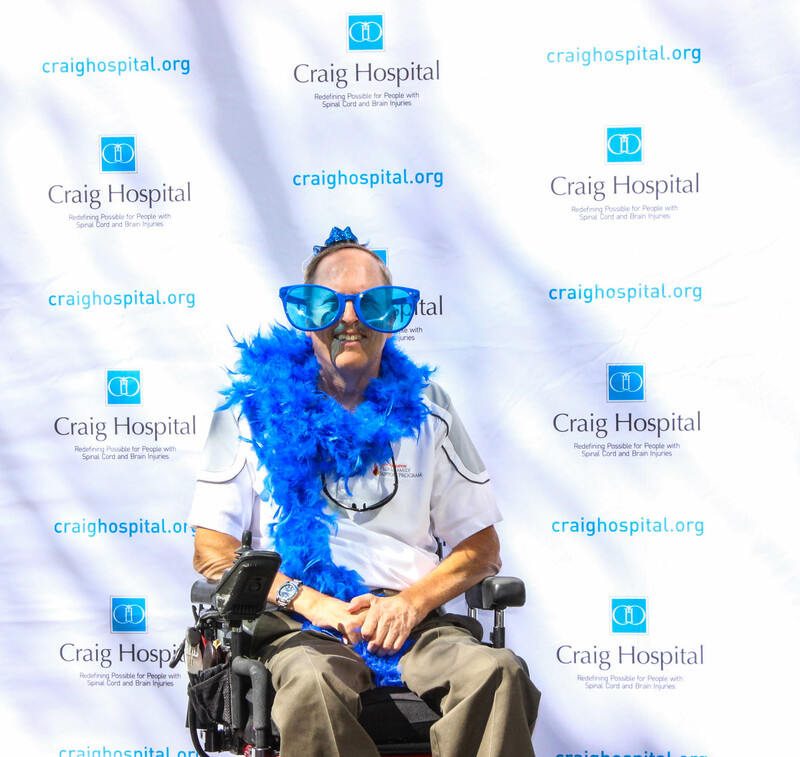 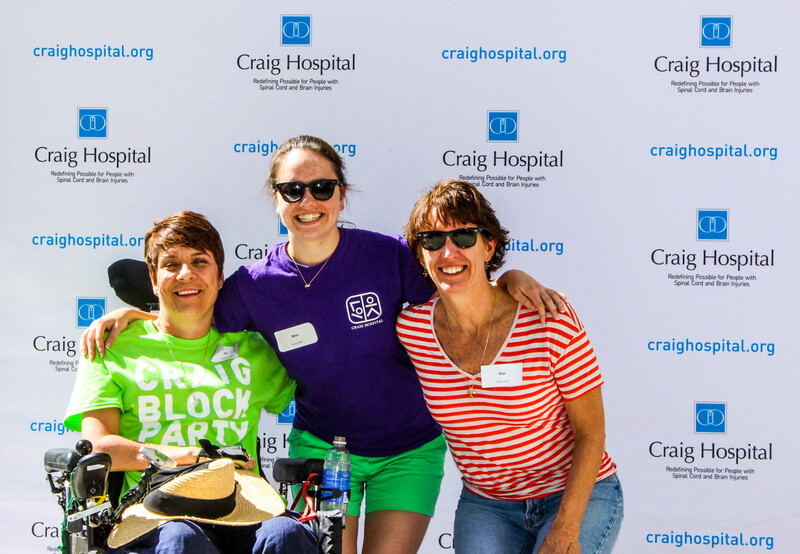 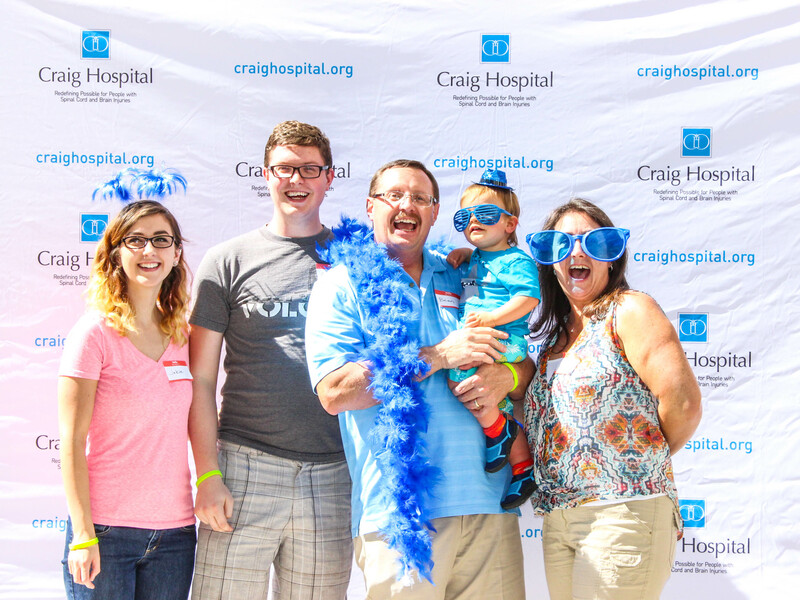 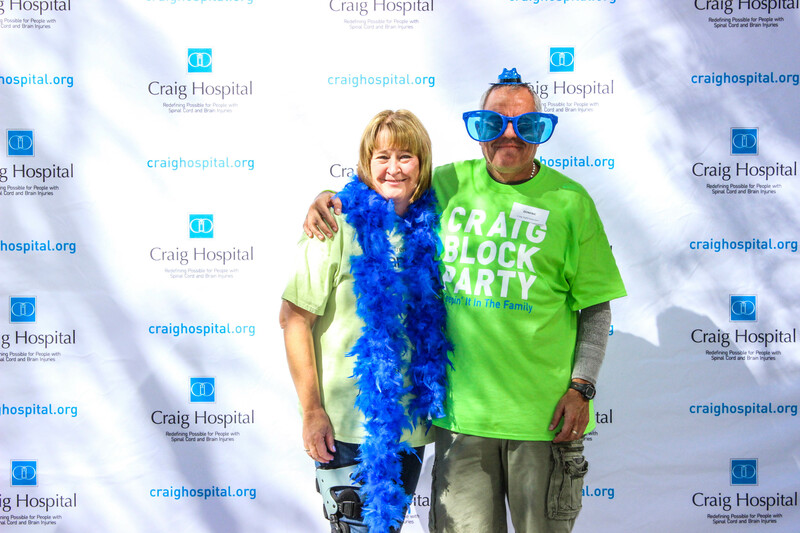 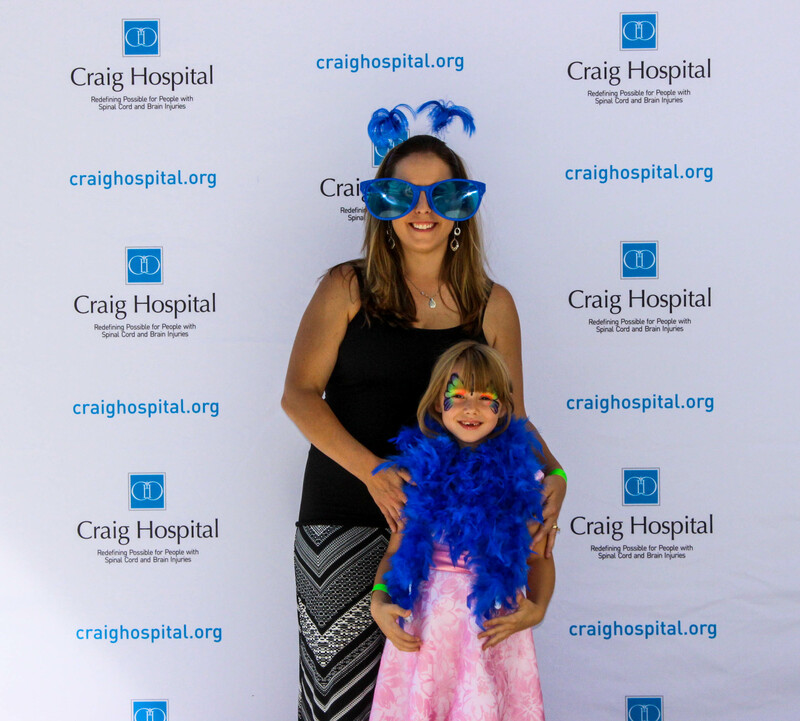 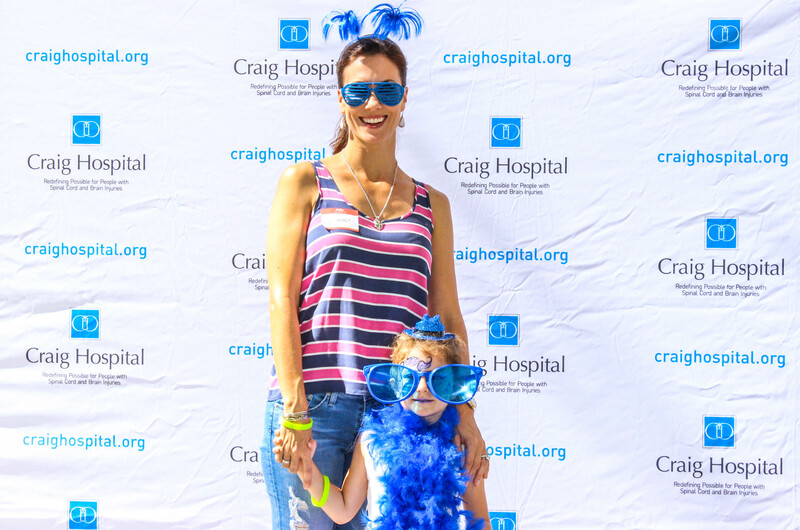 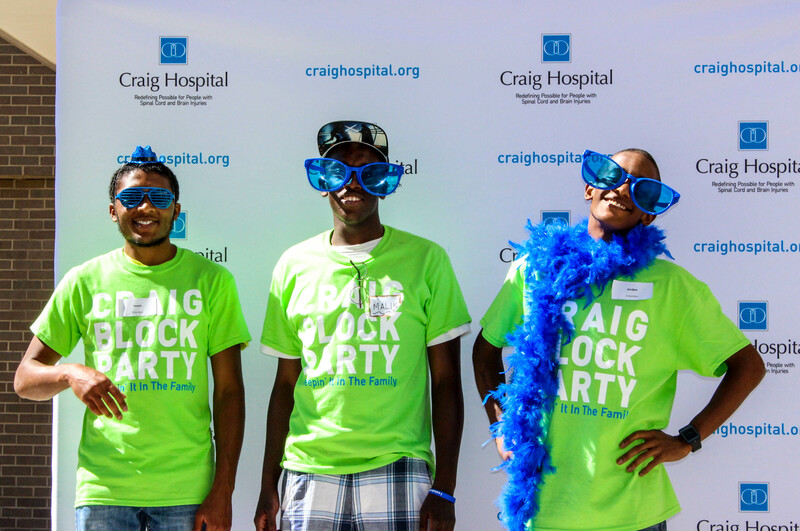 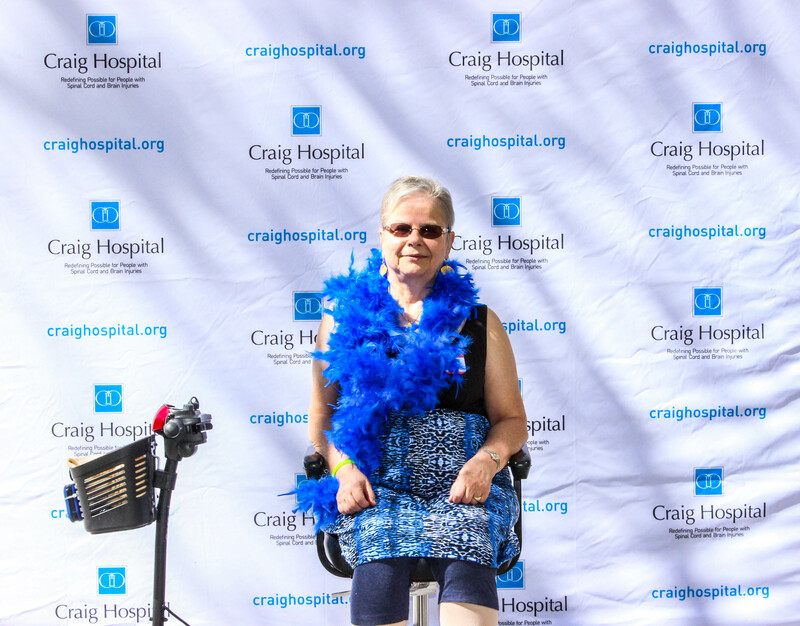 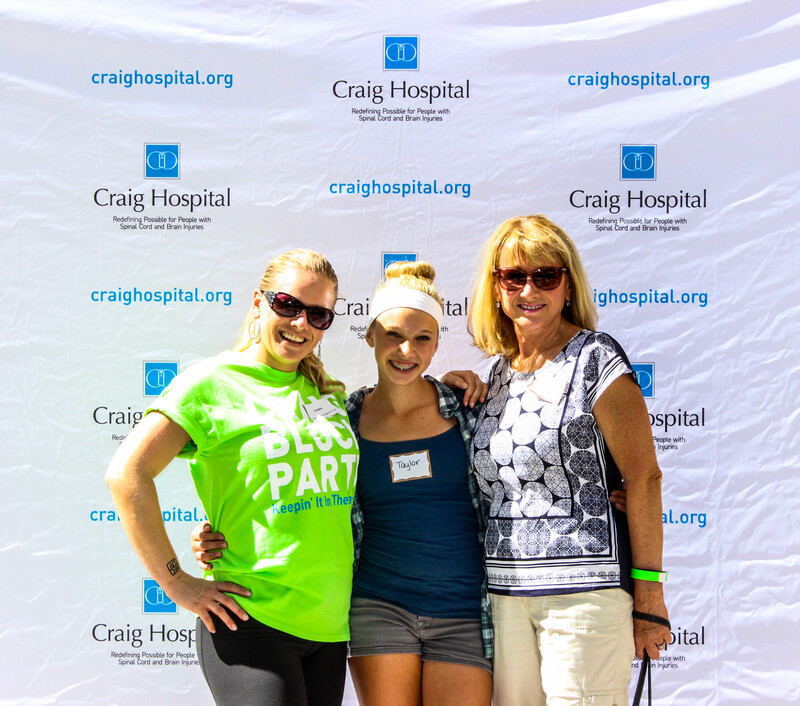 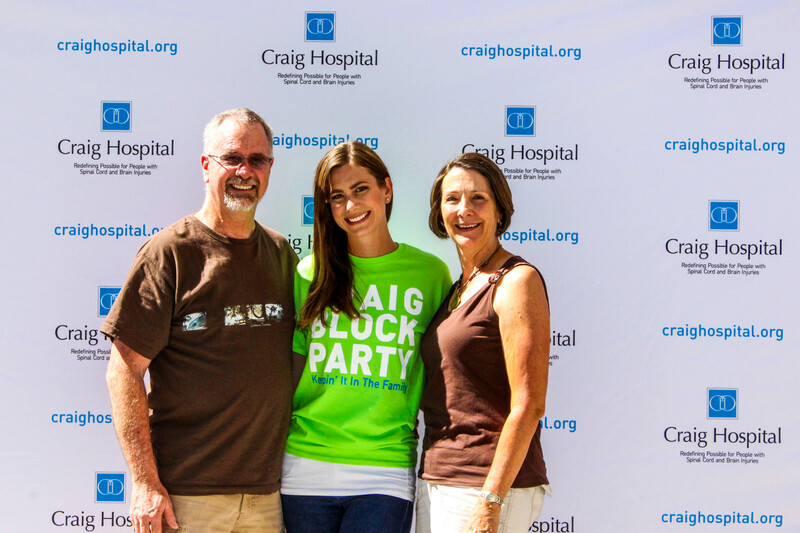 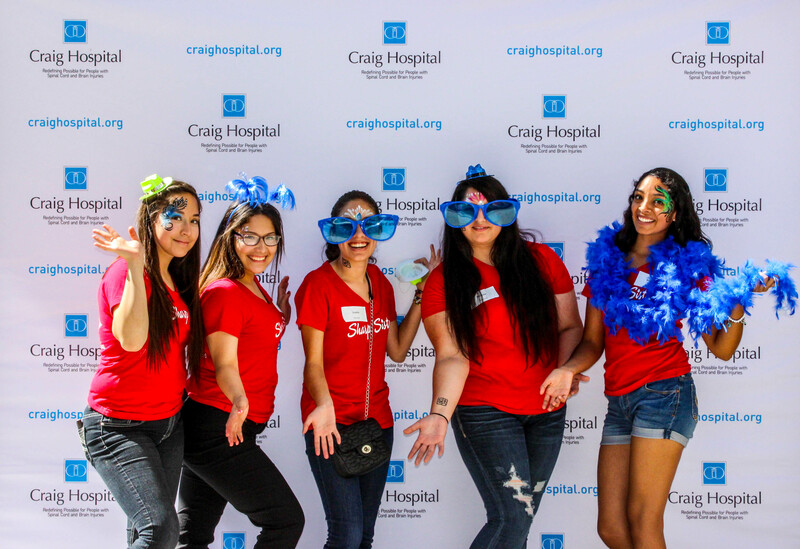 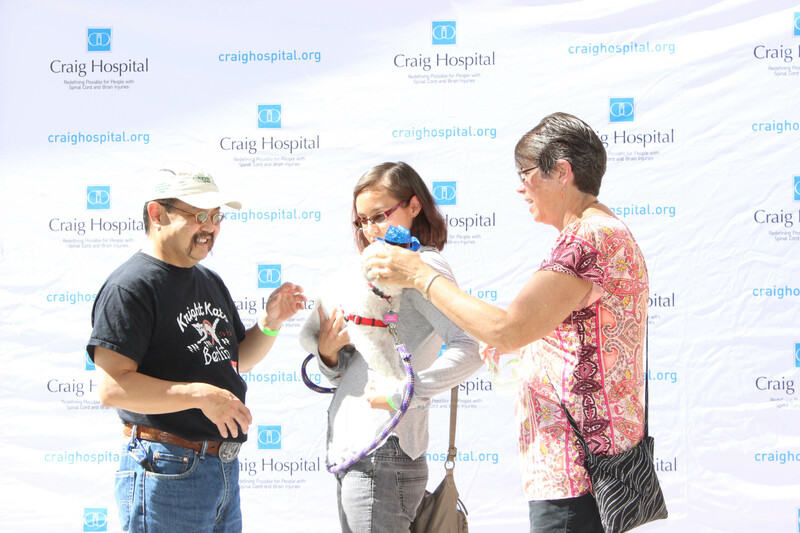 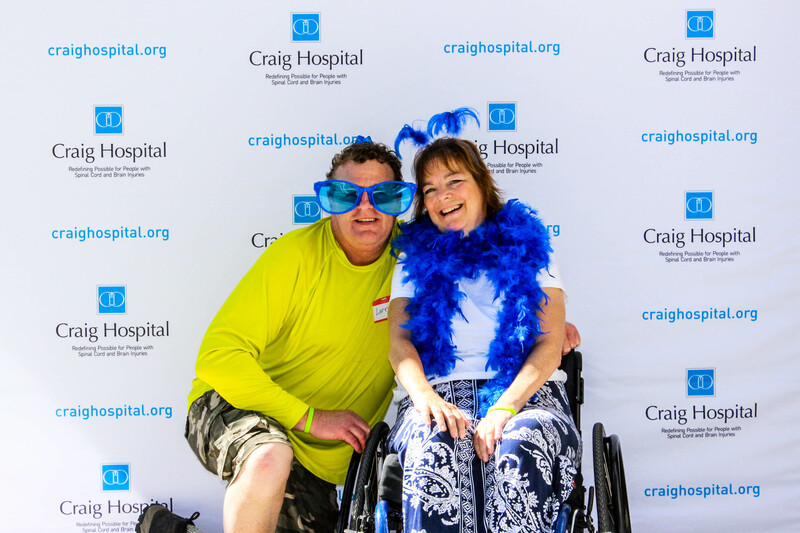 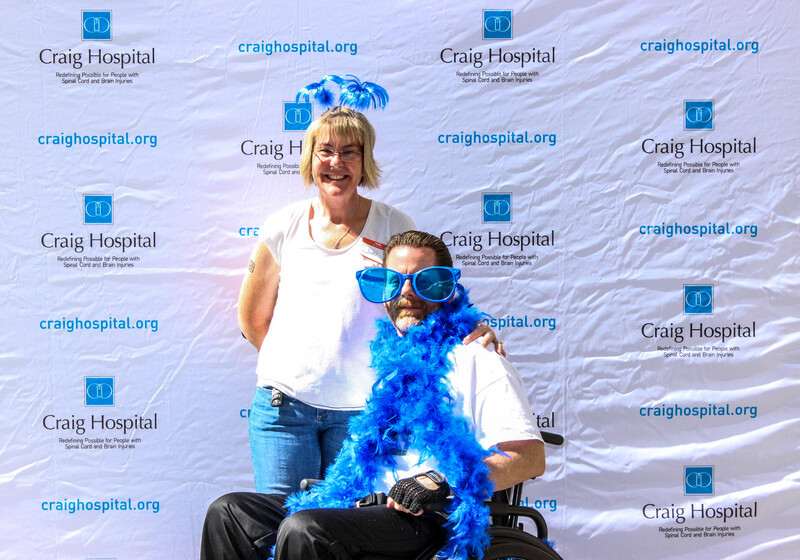 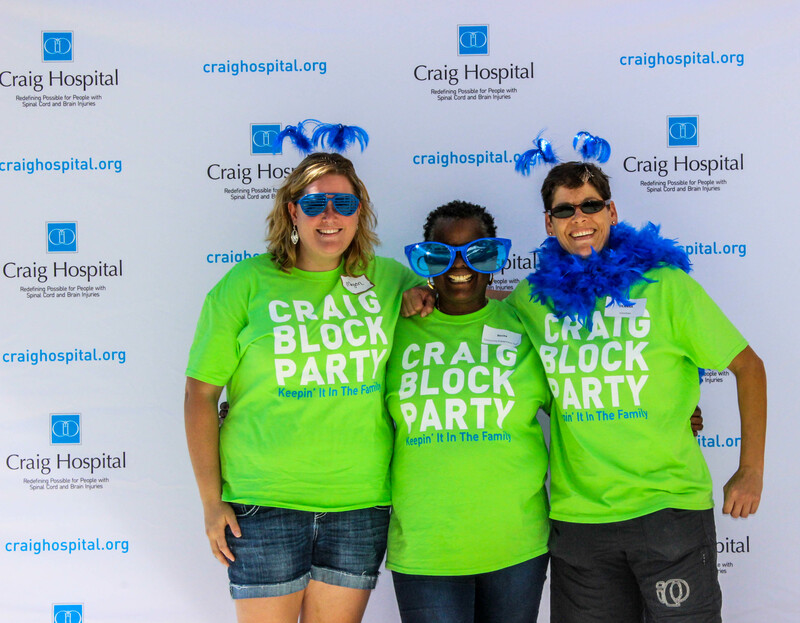 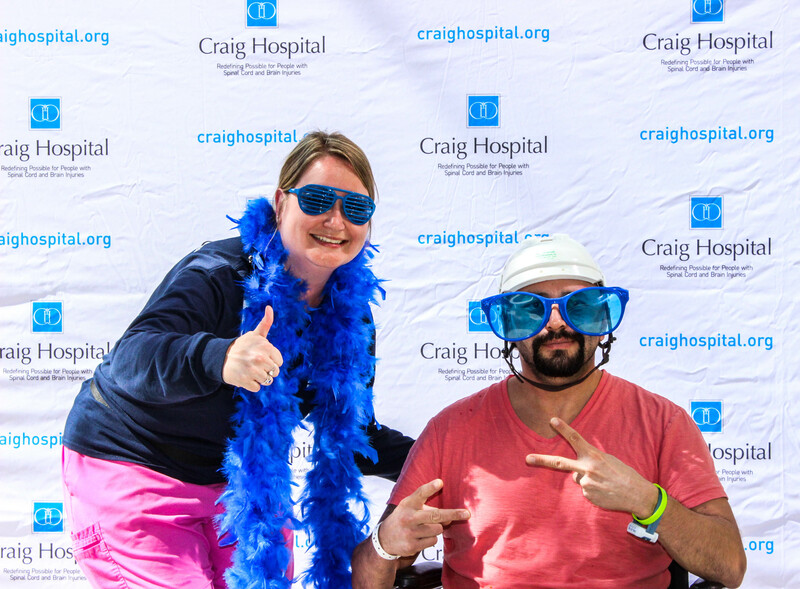 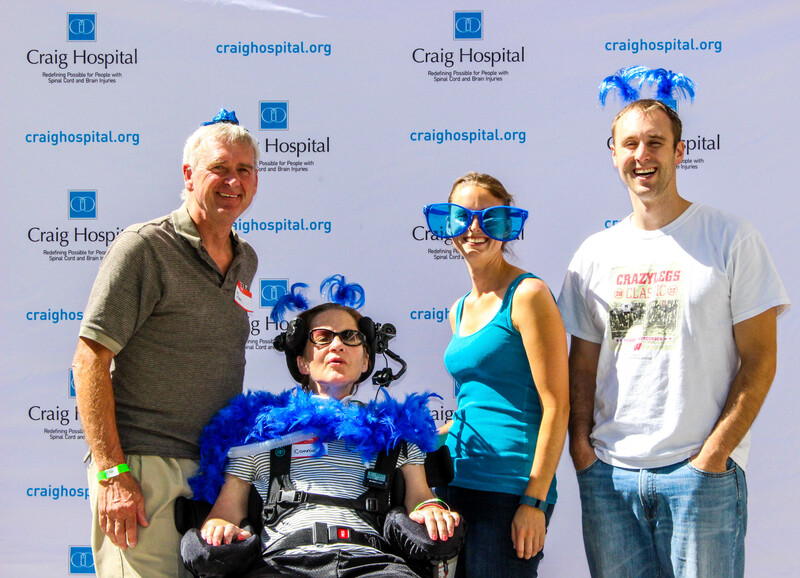 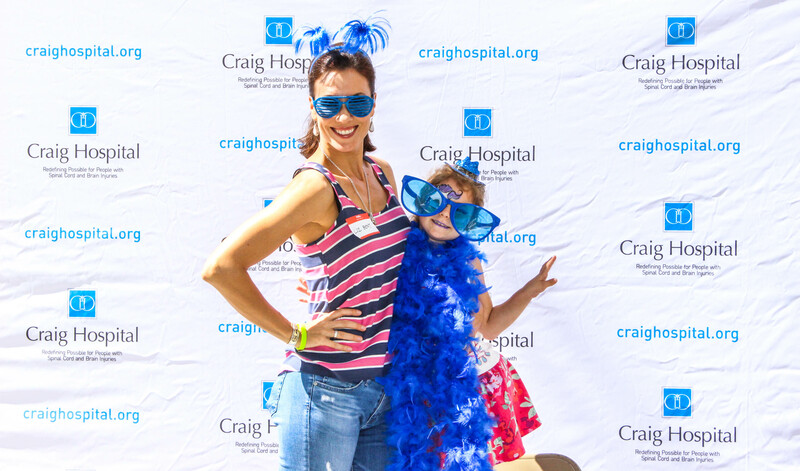 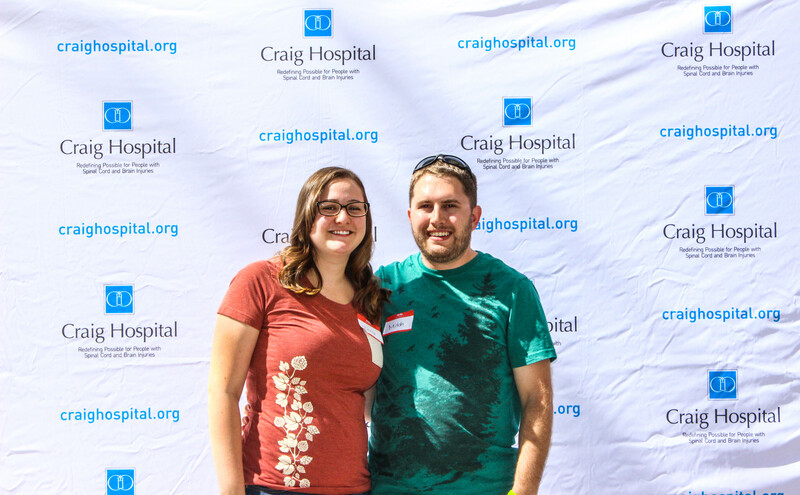 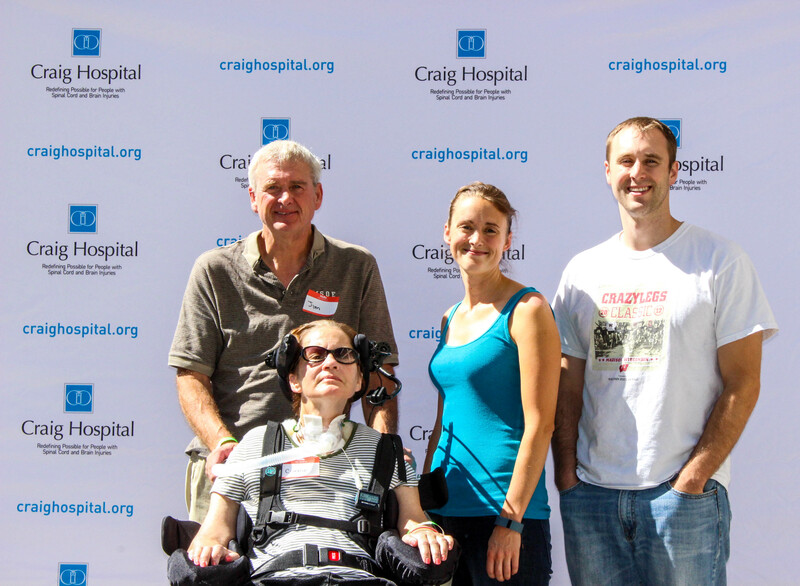 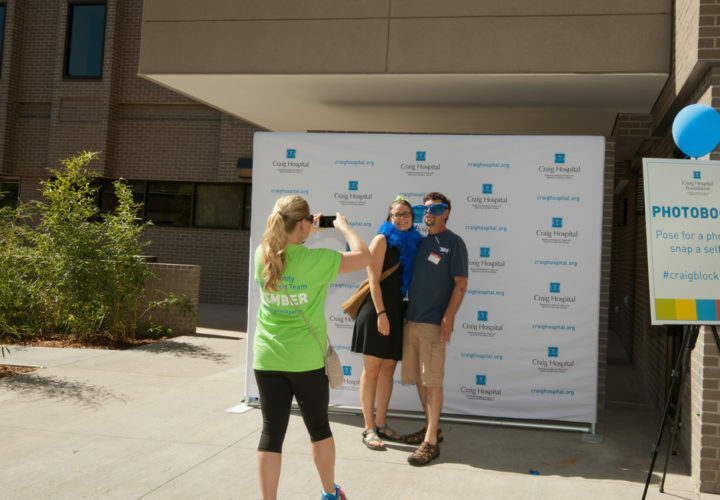 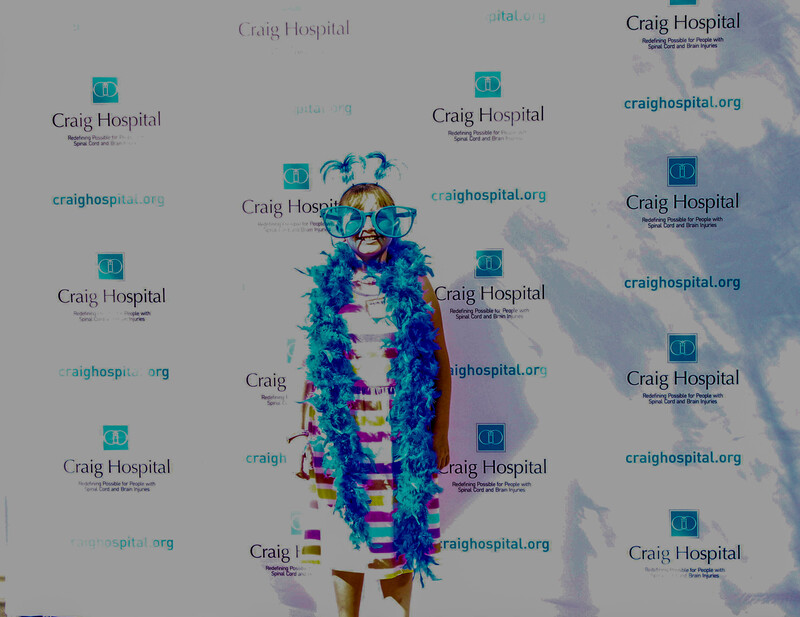 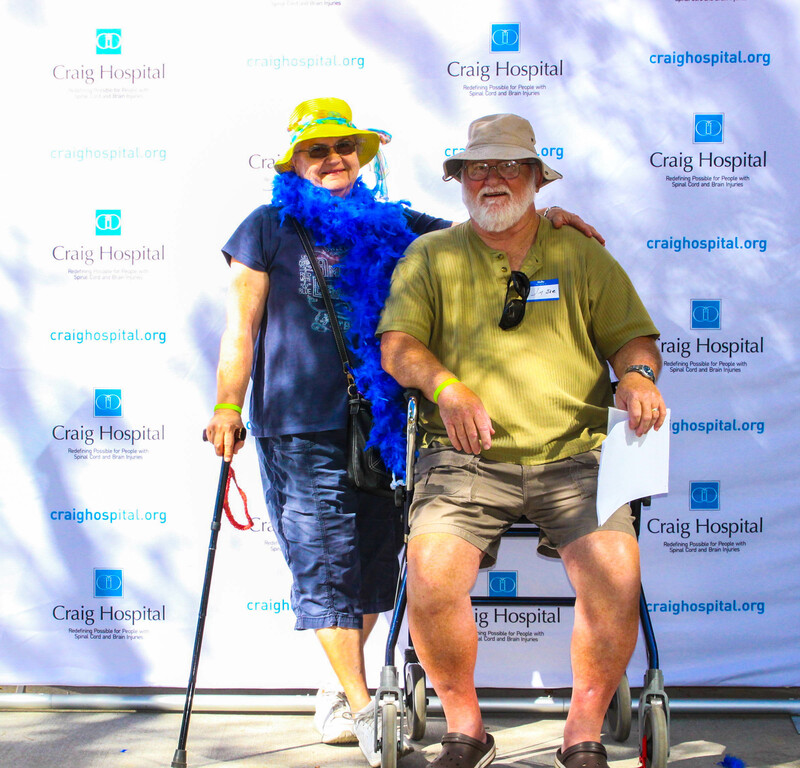 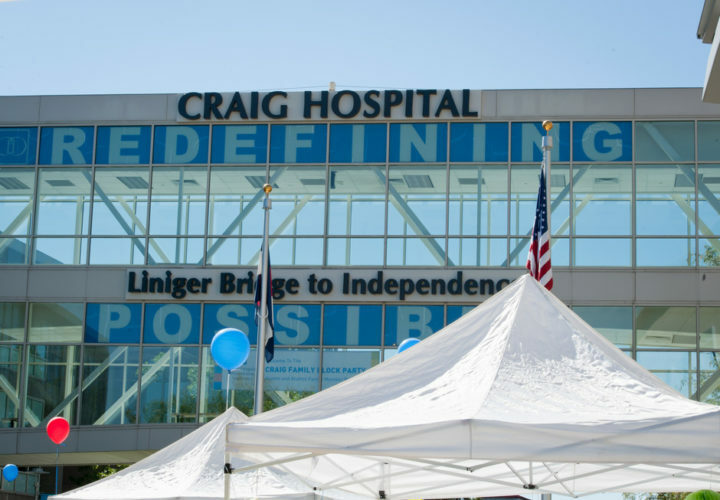 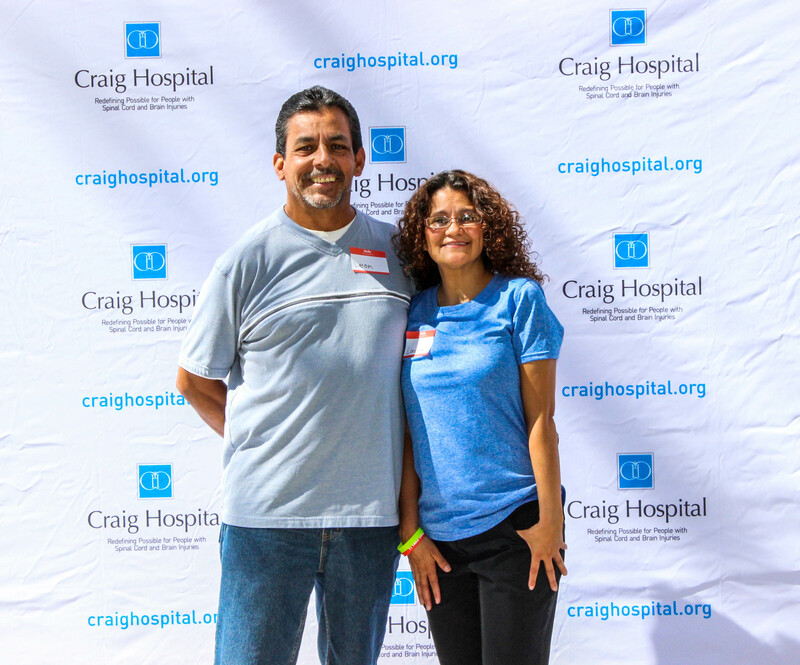 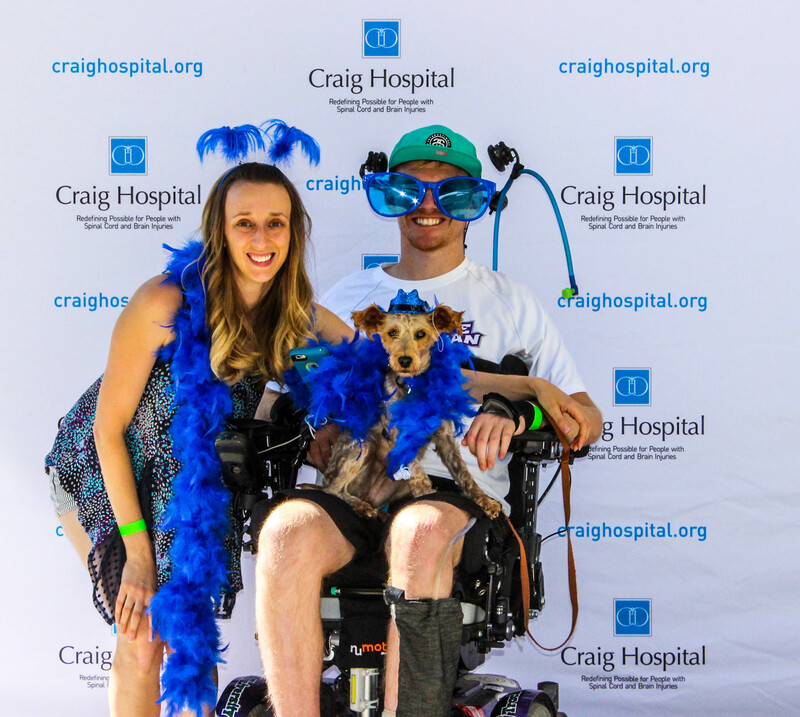 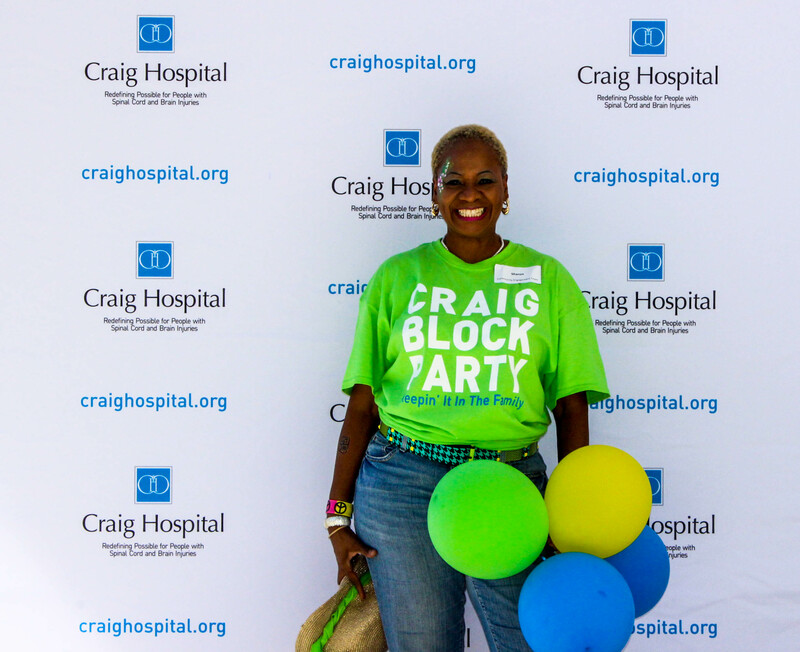 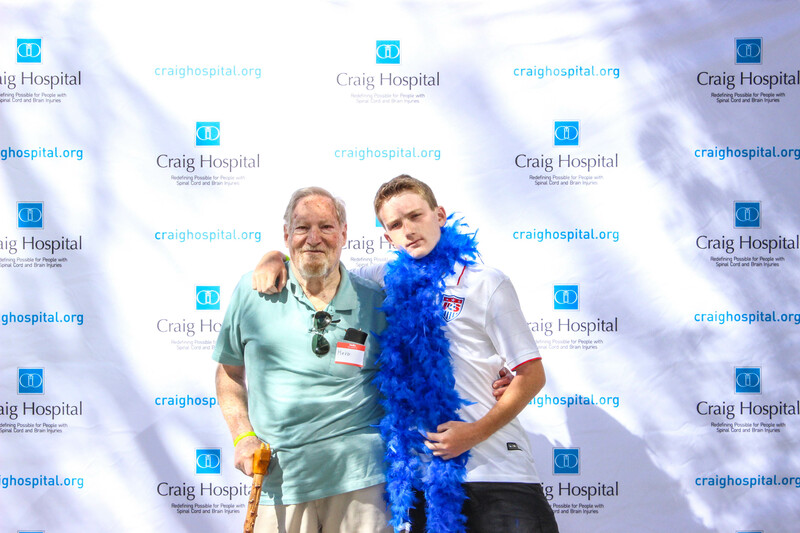 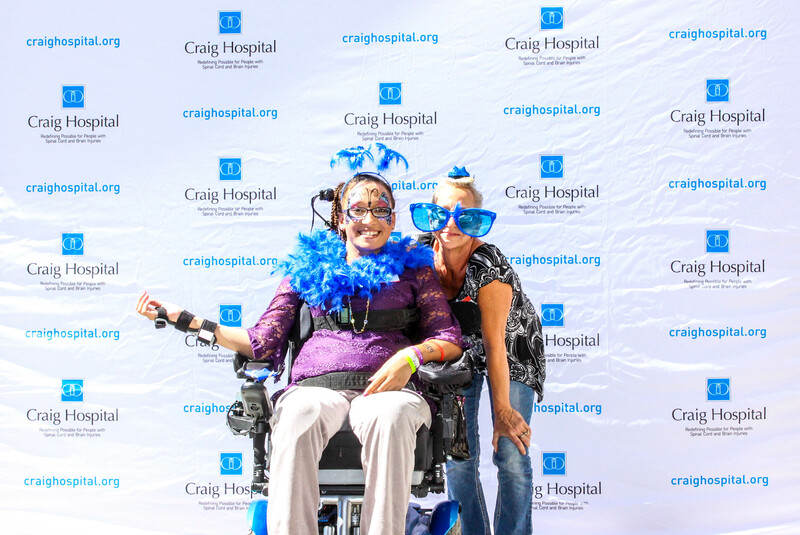 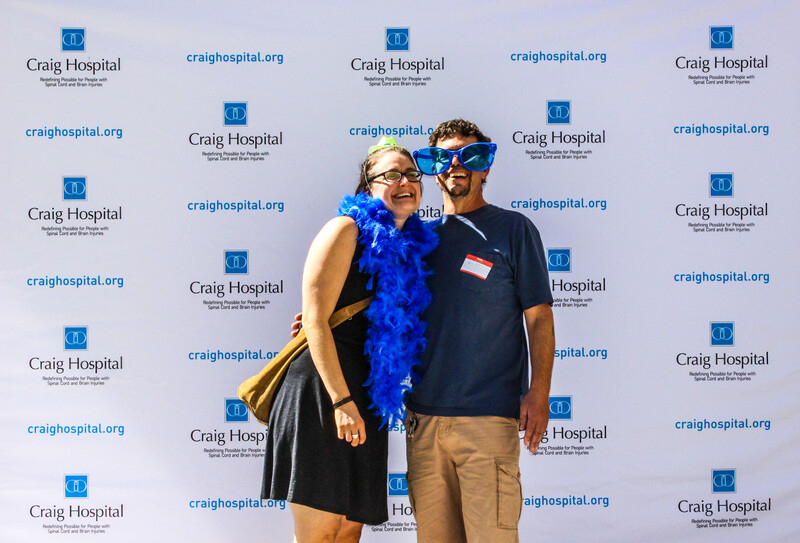 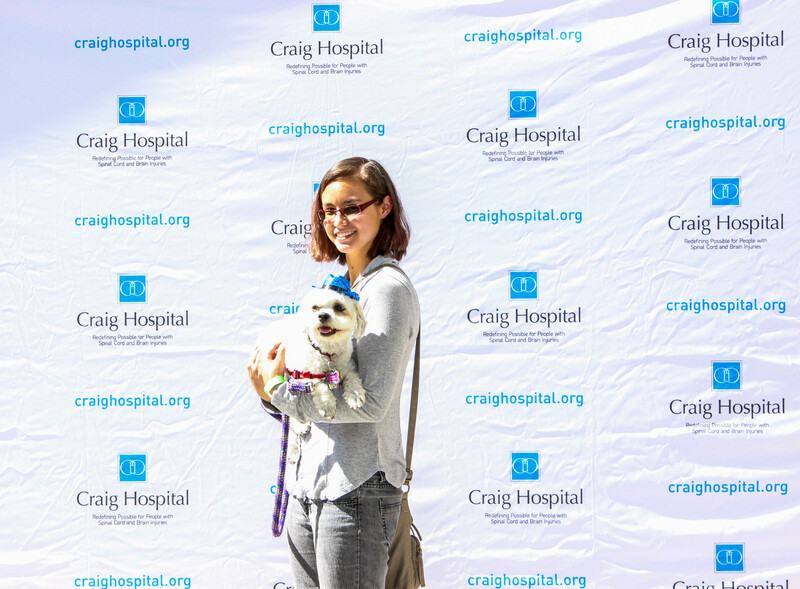 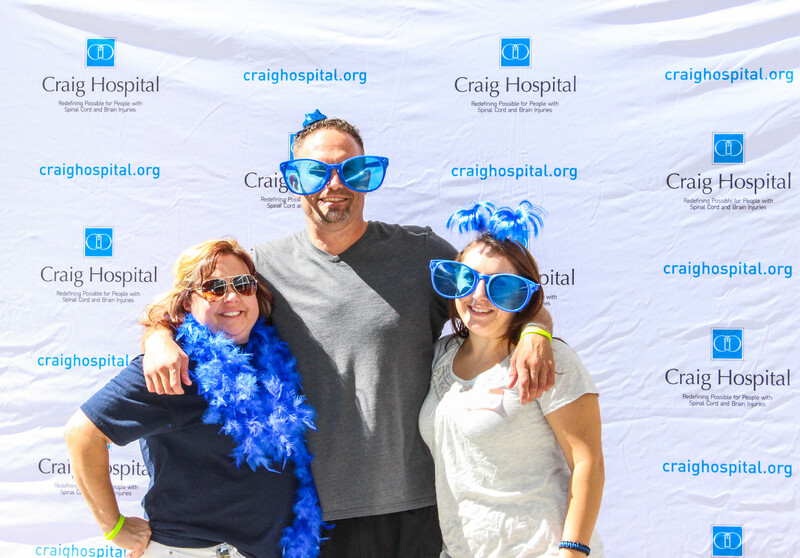 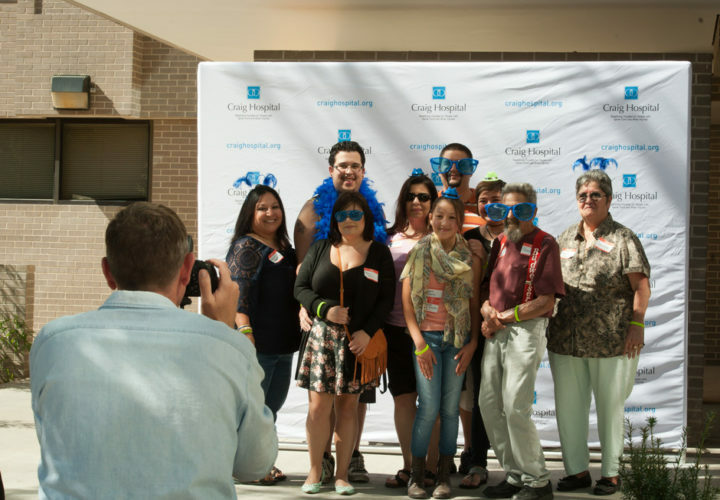 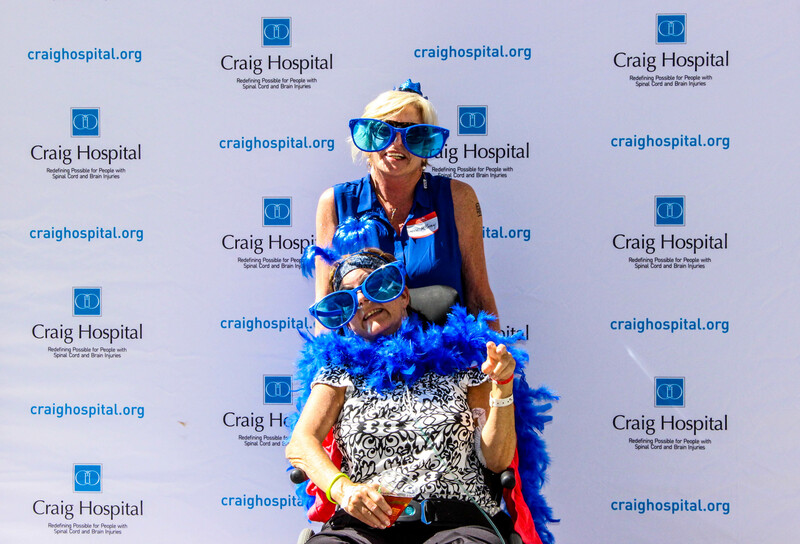 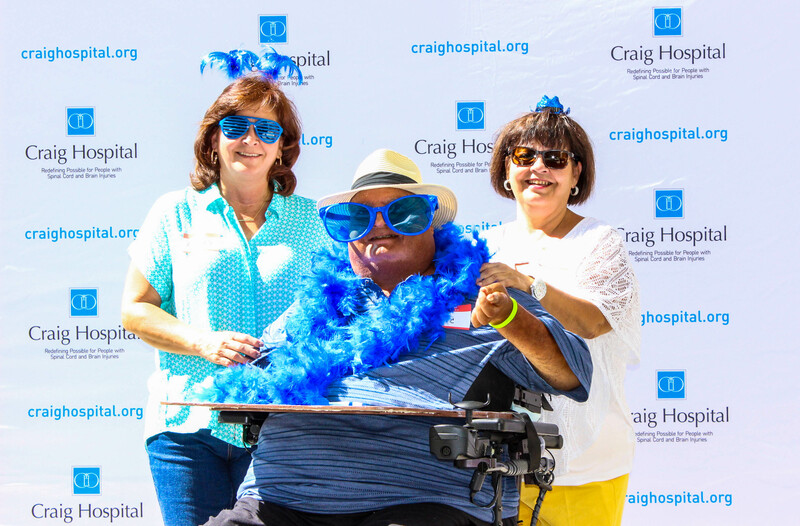 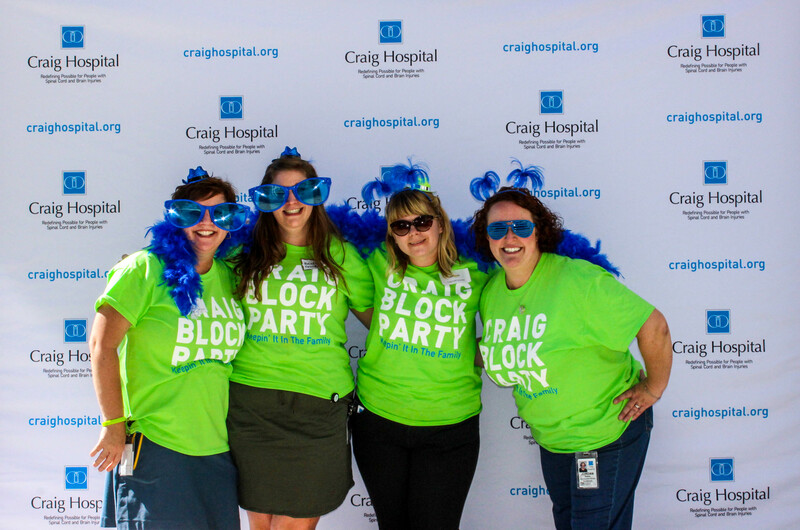 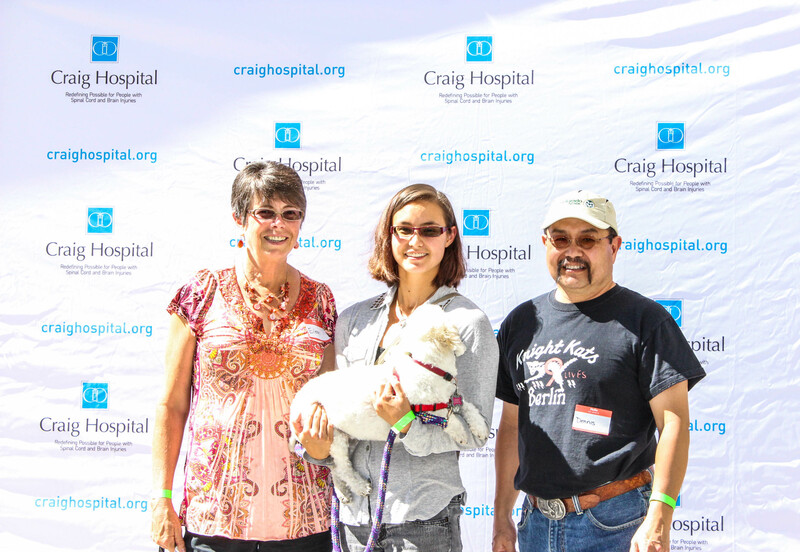 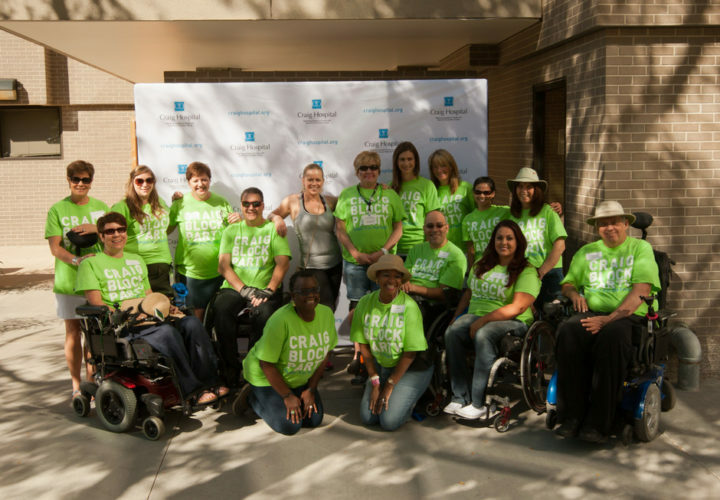 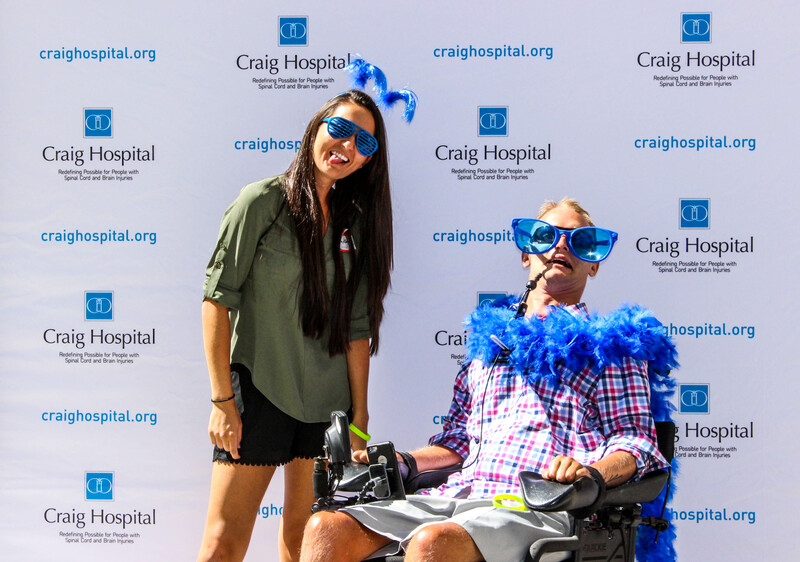 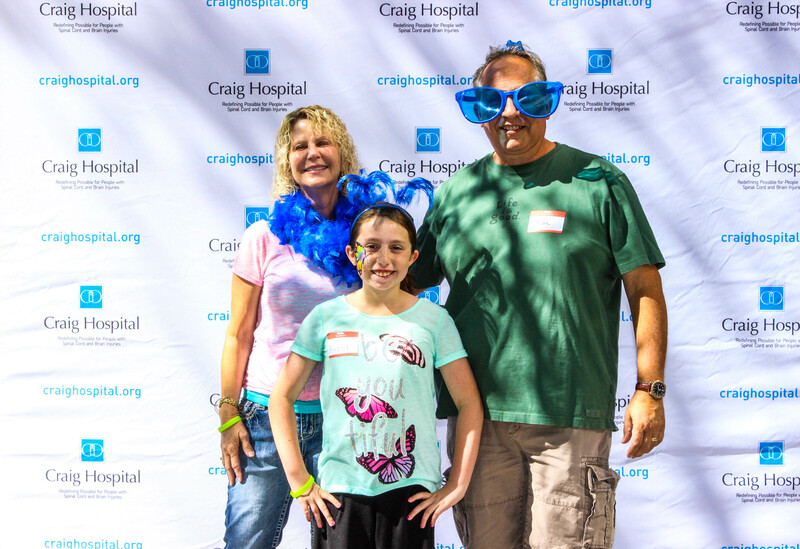 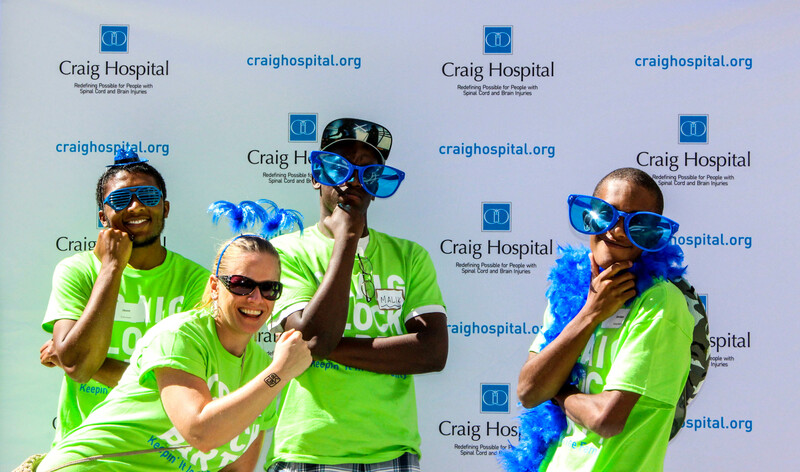 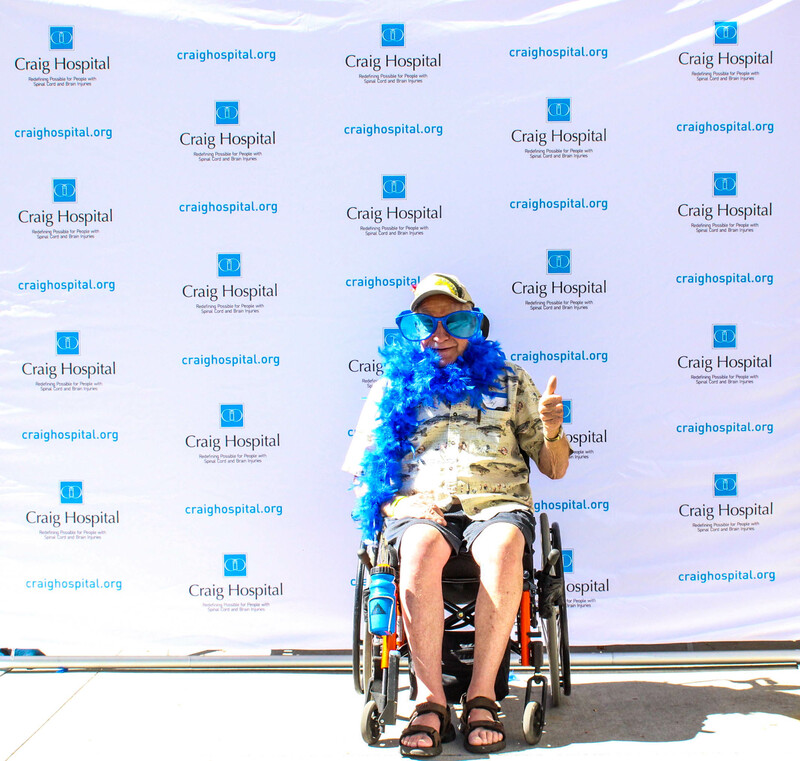 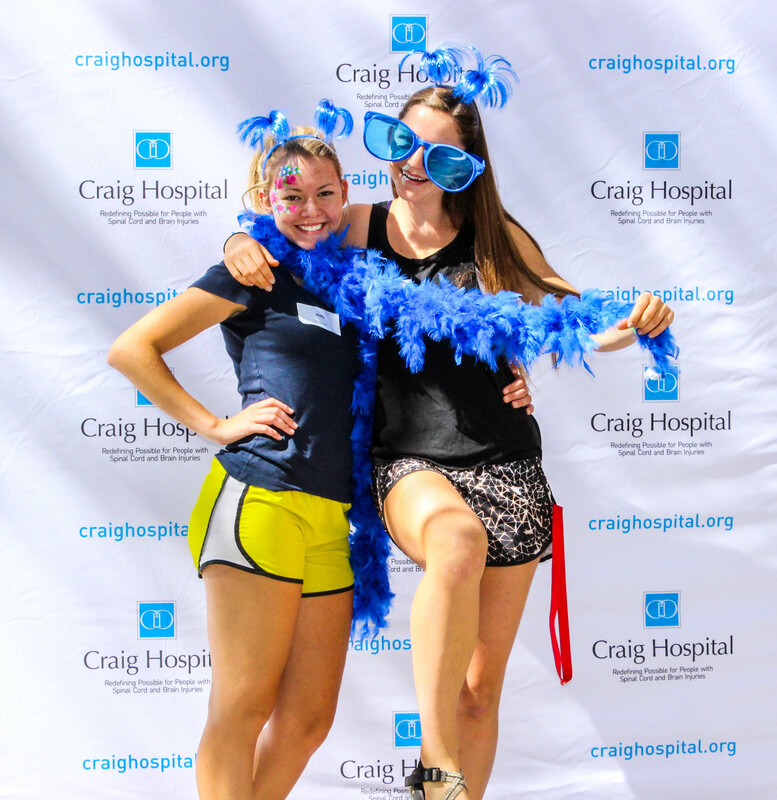 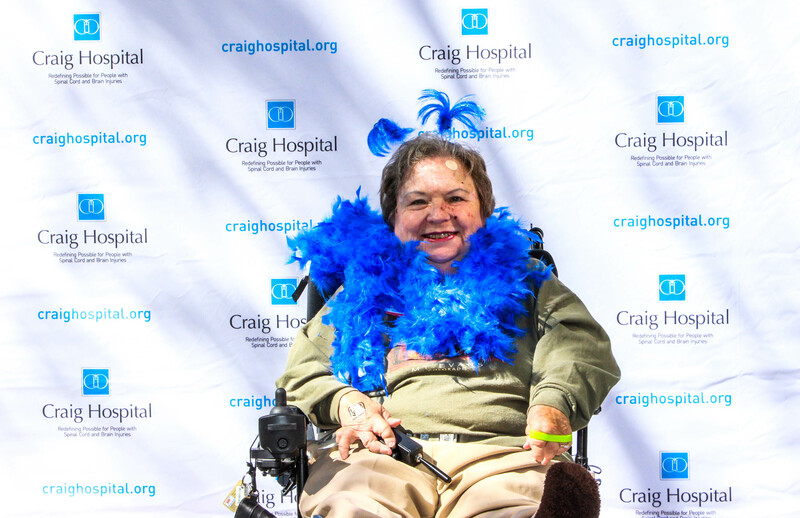 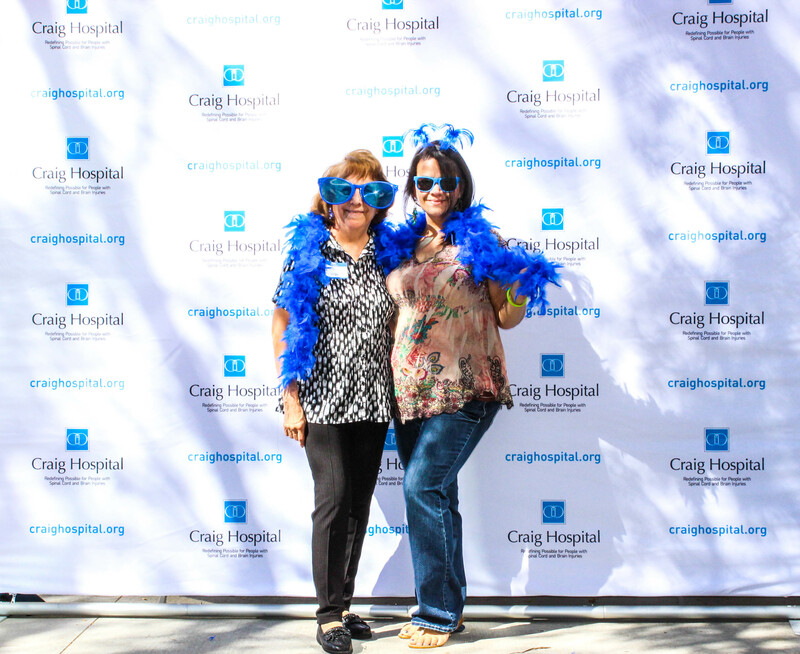 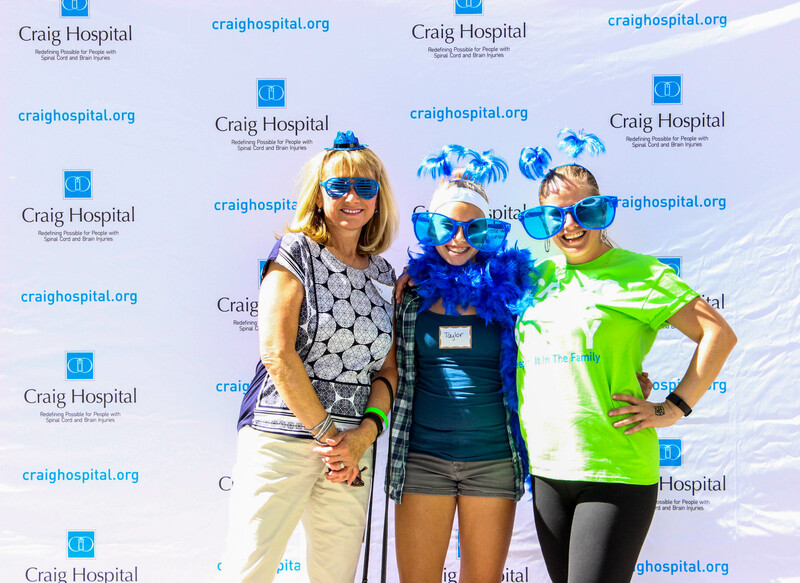 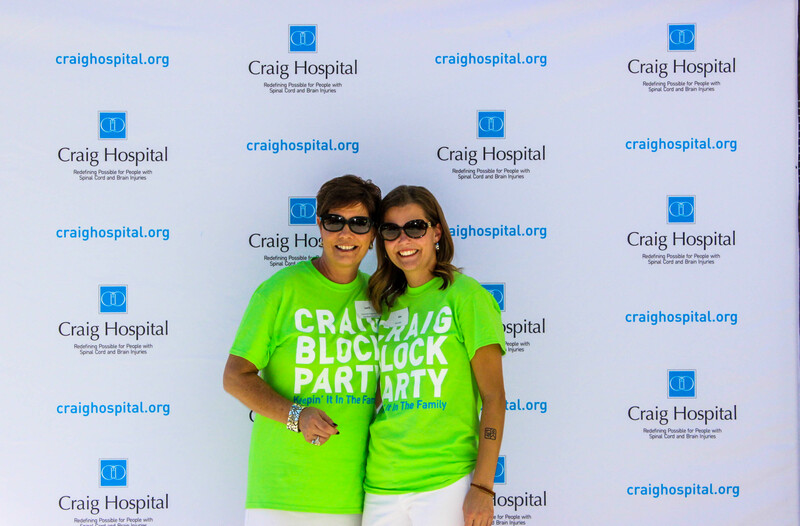 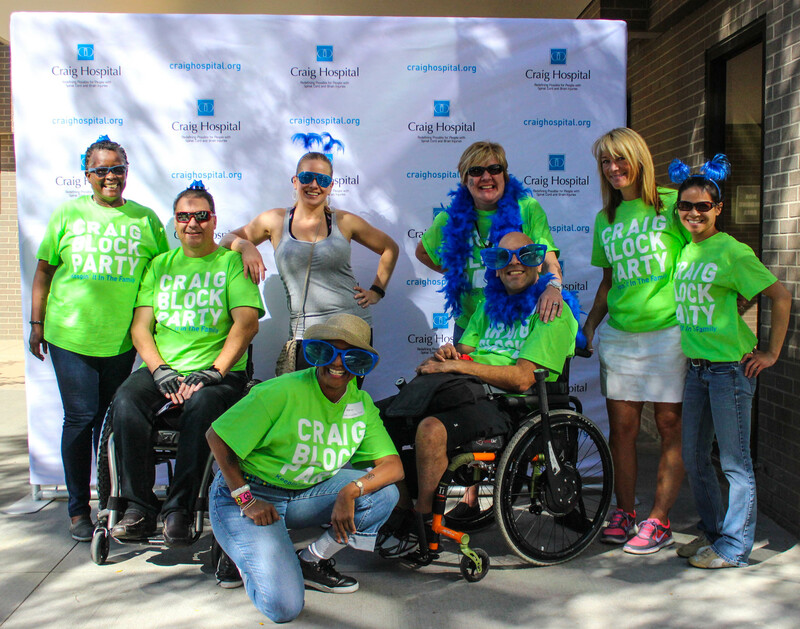 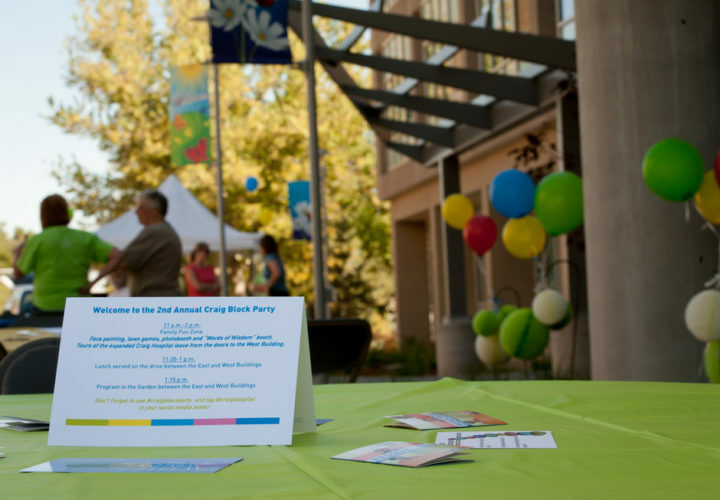 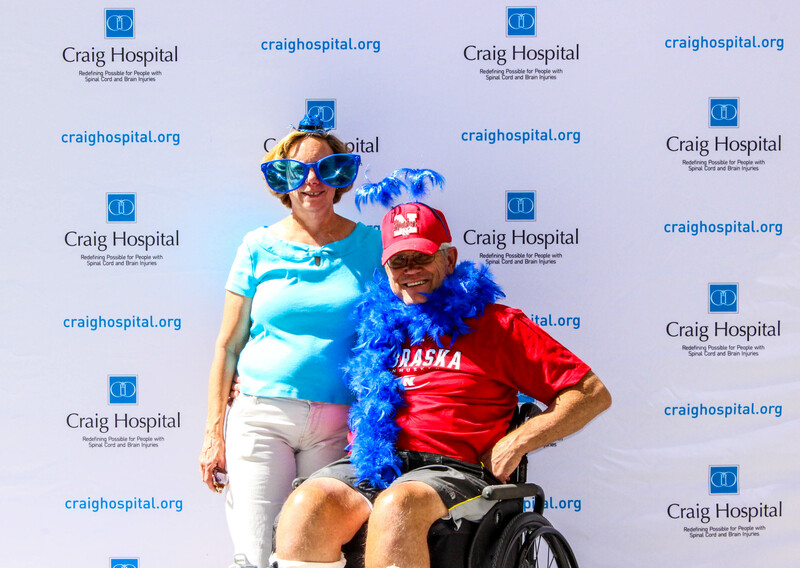 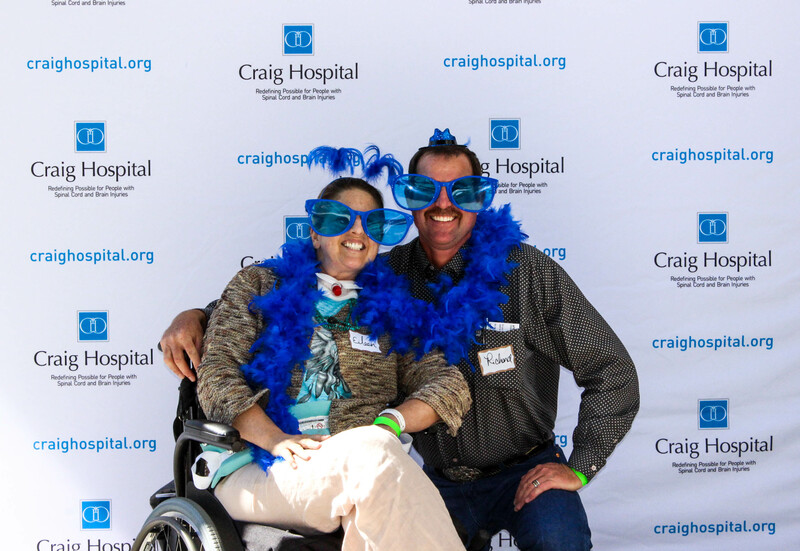 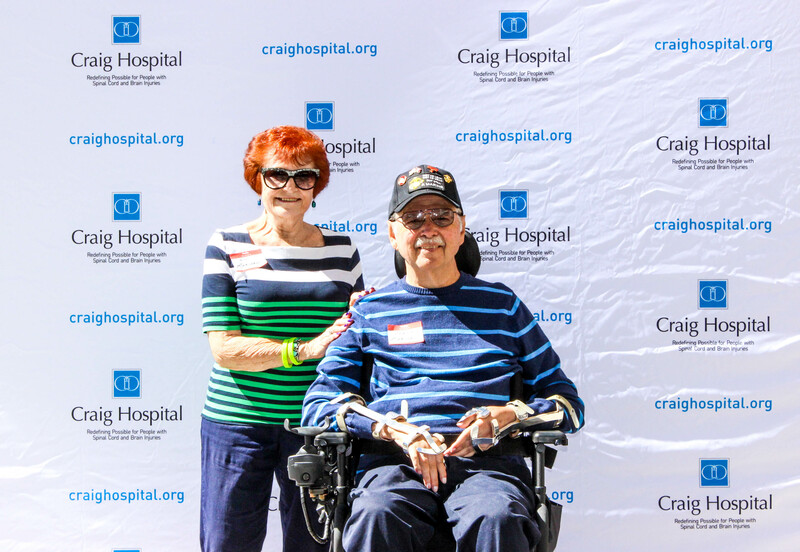 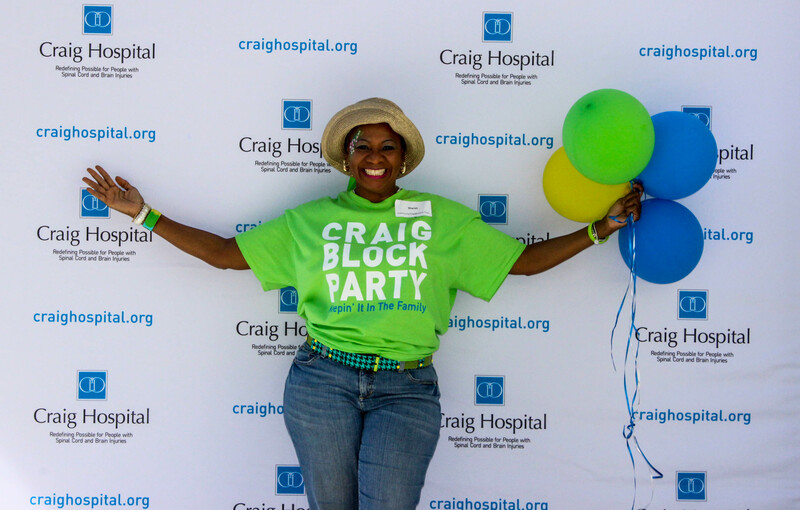 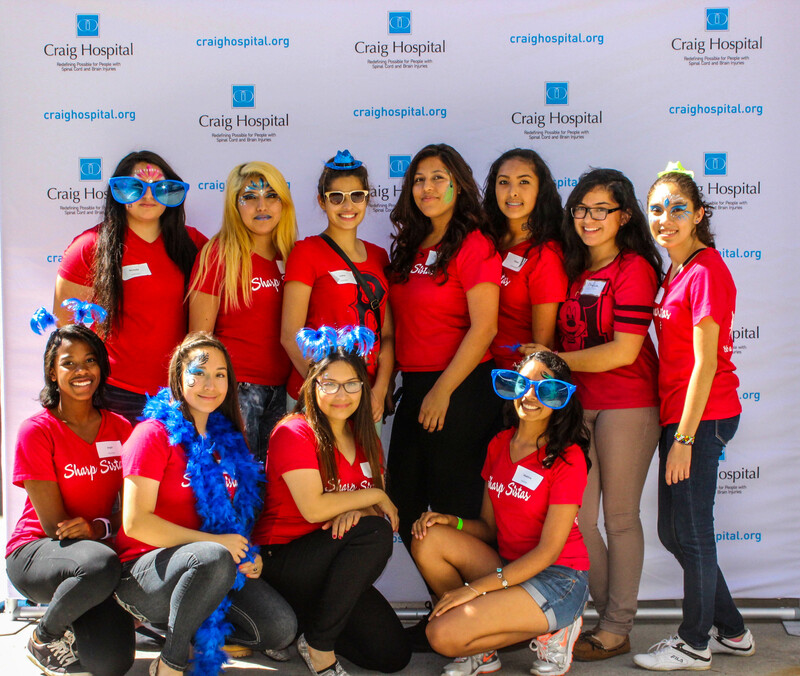 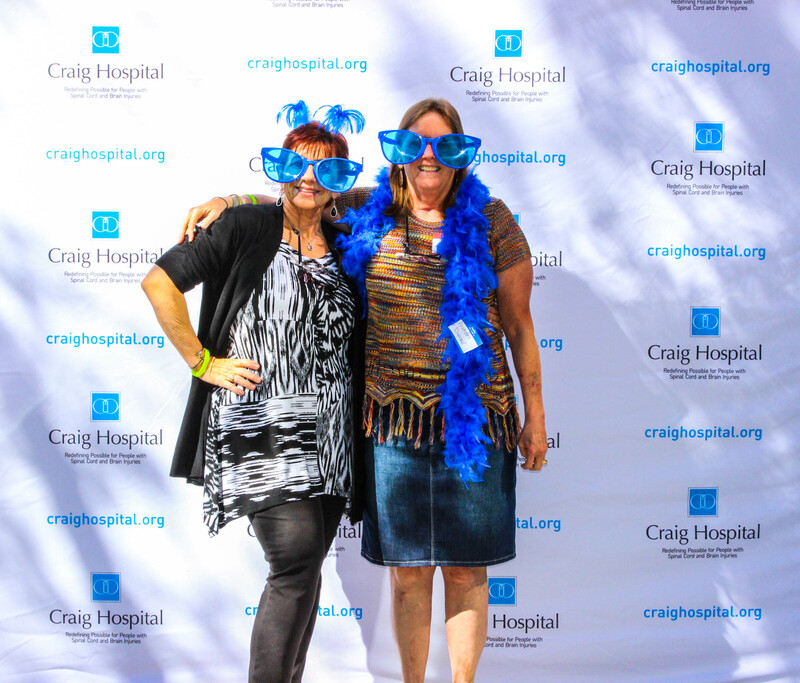 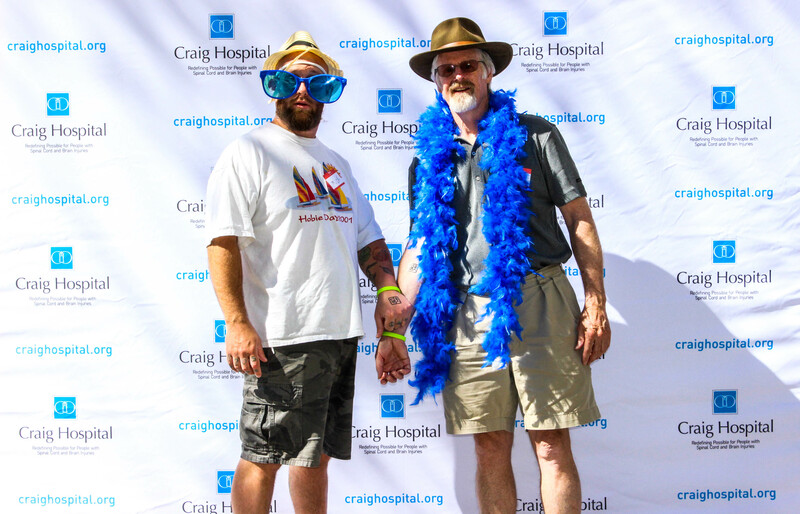 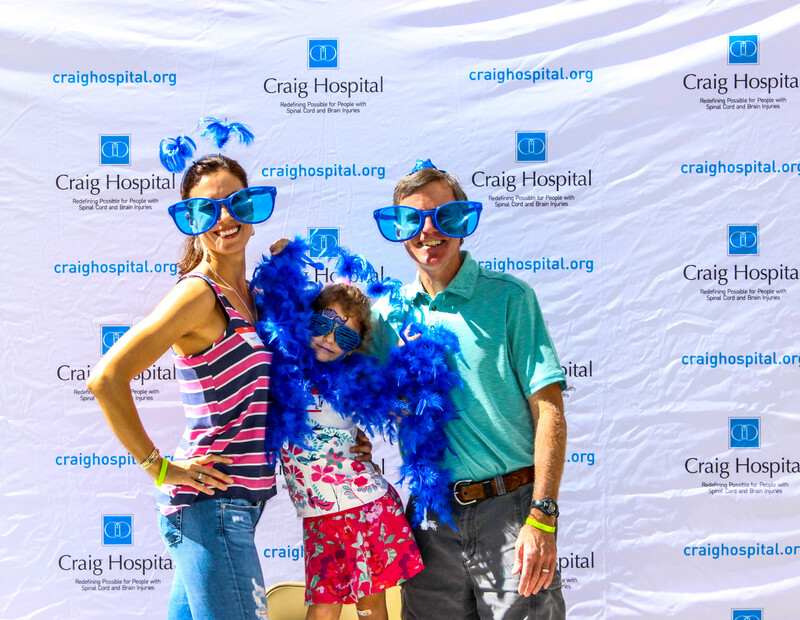 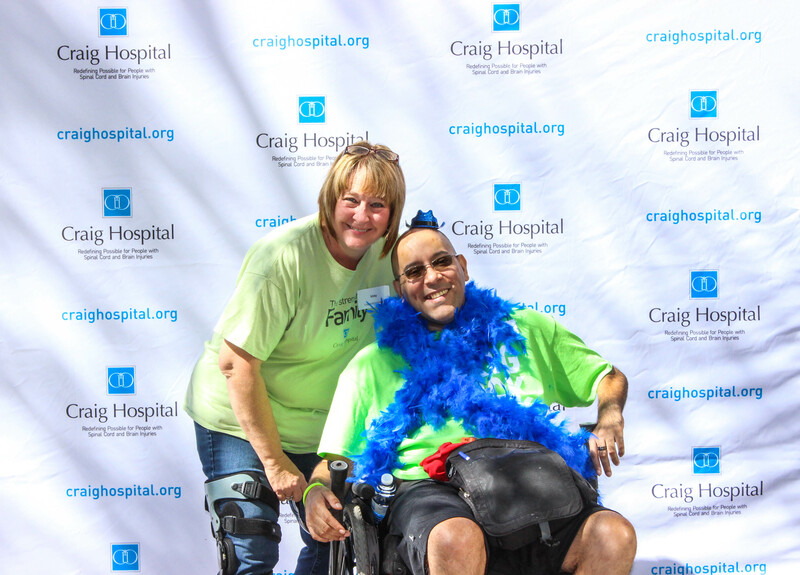 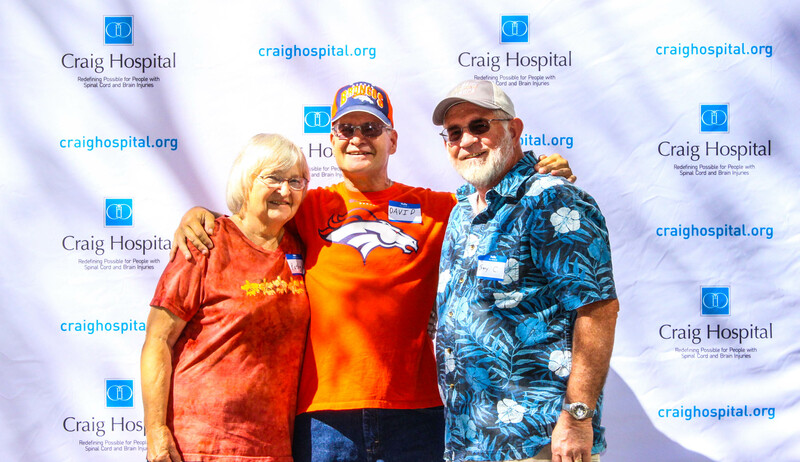 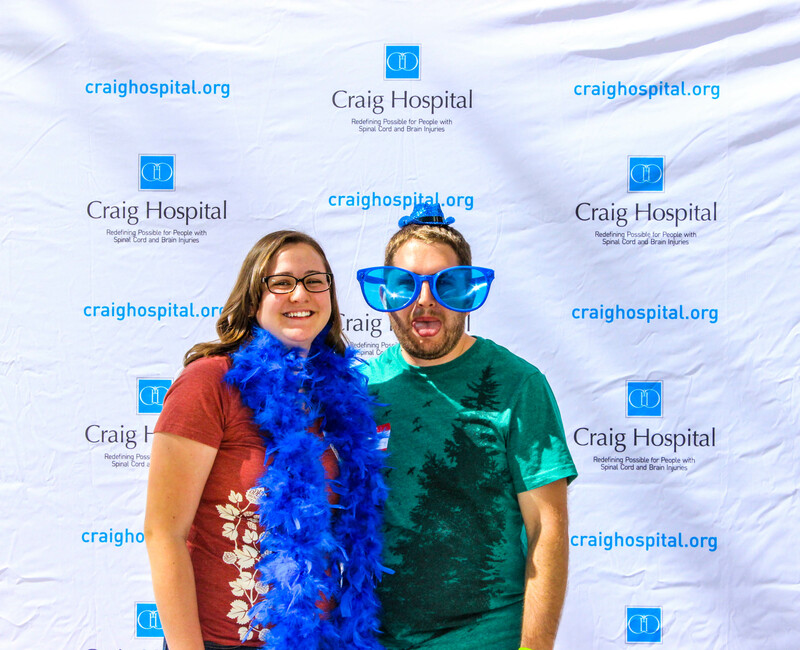 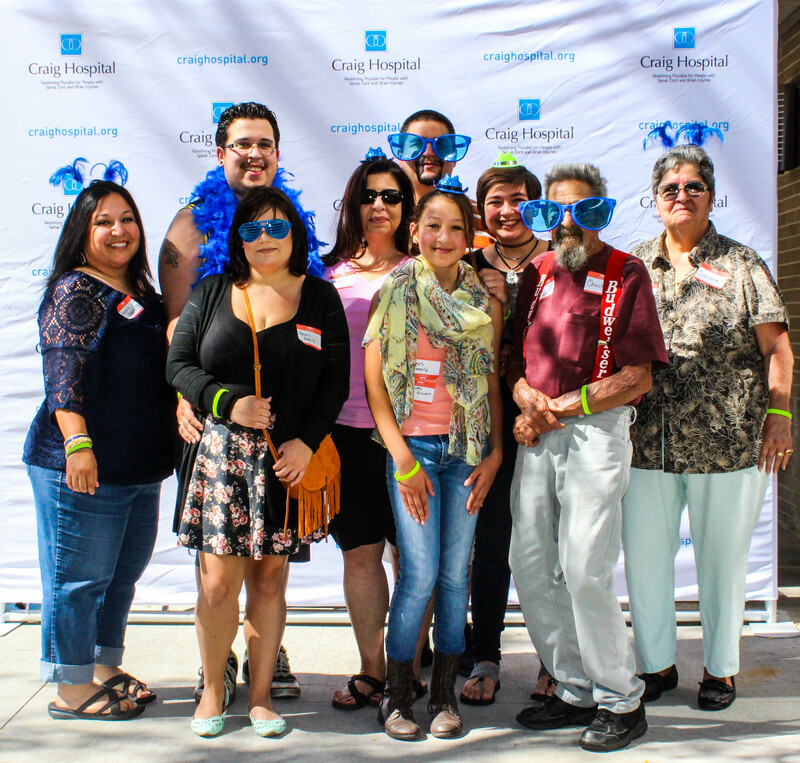 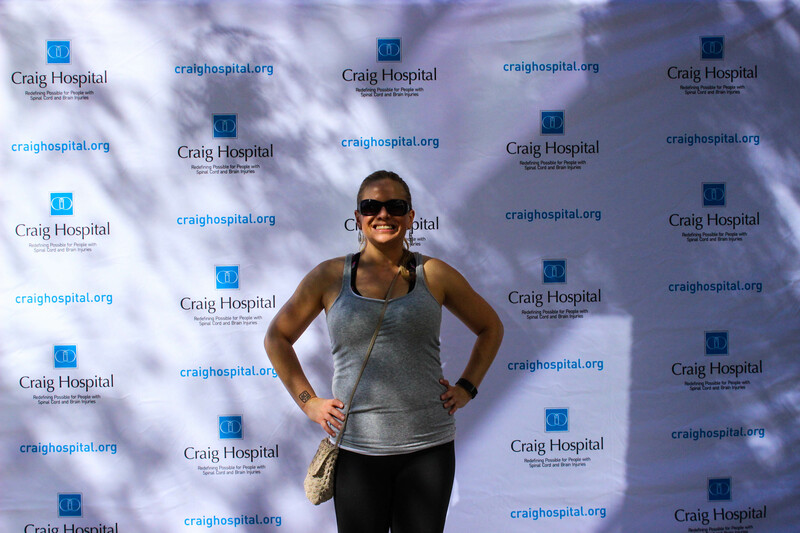 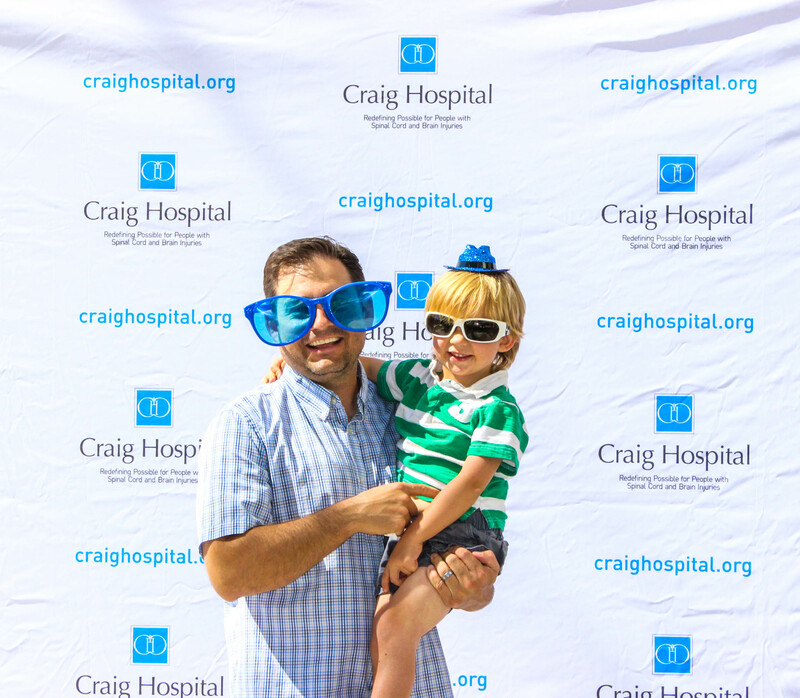 If you had your photo taken at the photobooth, and it doesn't appear here, please email james@craighospital.org.